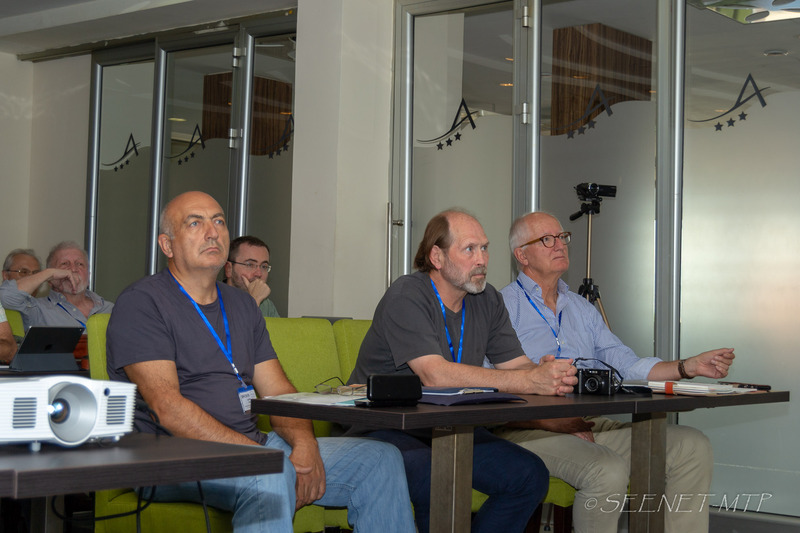 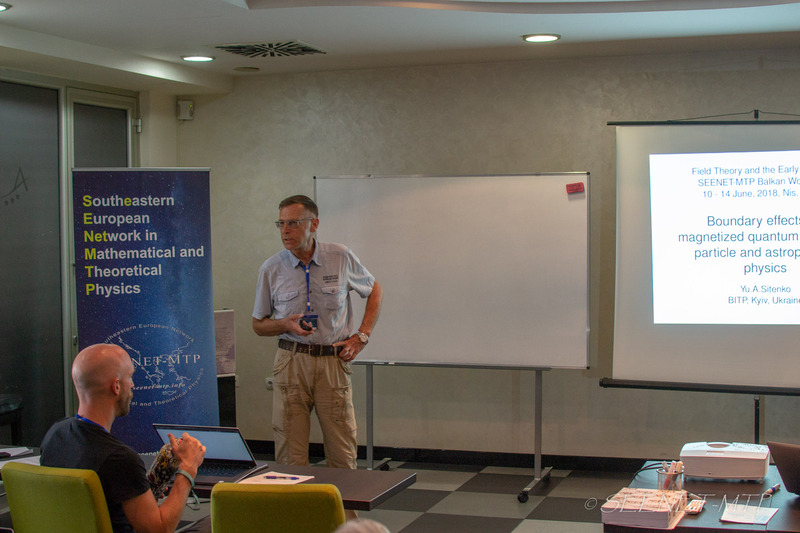 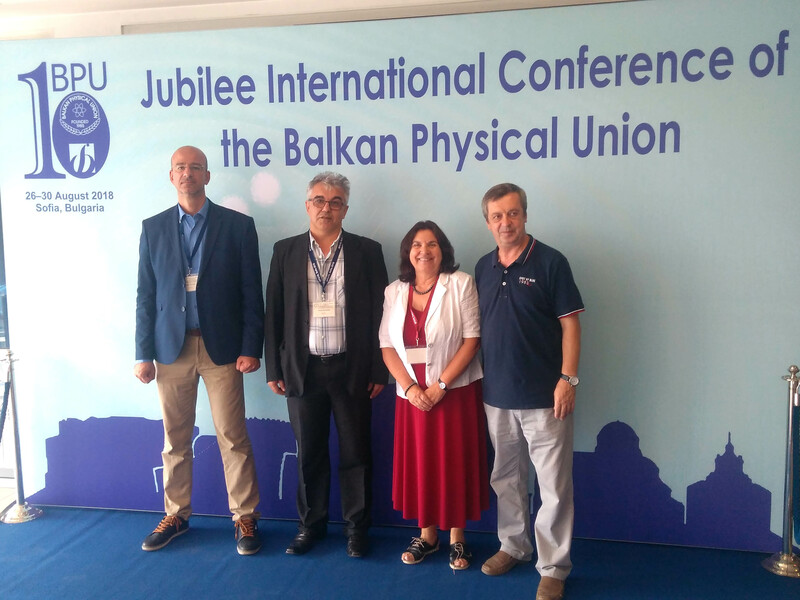 At the recently held Council of the Balkan Physical Union (BPU) at the Jubilee 10th International Physics Conference – “Balkan Congress” of the BPU, held in Sofia, Bulgarian (26-30 August 2018), two leaders of the Southeastern European Network in Mathematical and Theoretical Physics (SEENET-MTP) Network were honored by election to the highest positions in the Balkan Physical Union. 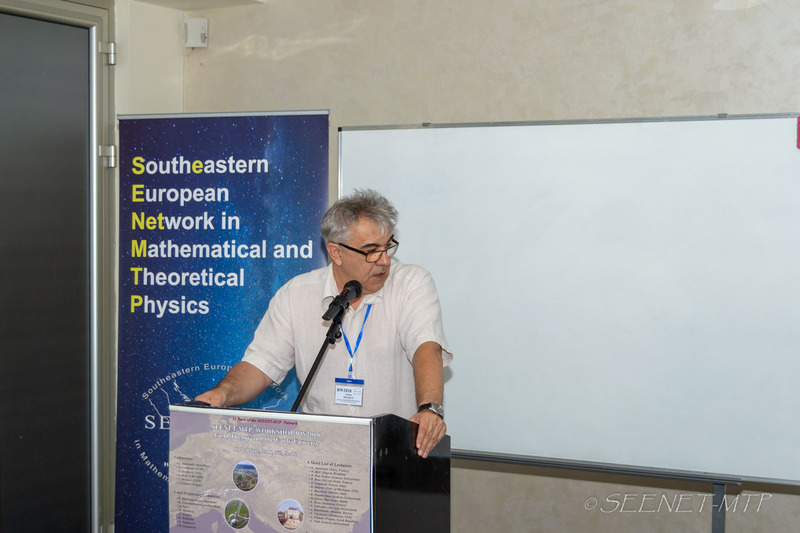 Prof. Goran Djordjevic (University of Nis), Executive Director of the SEENET-MTP Network was elected for the post of the President of the BPU. 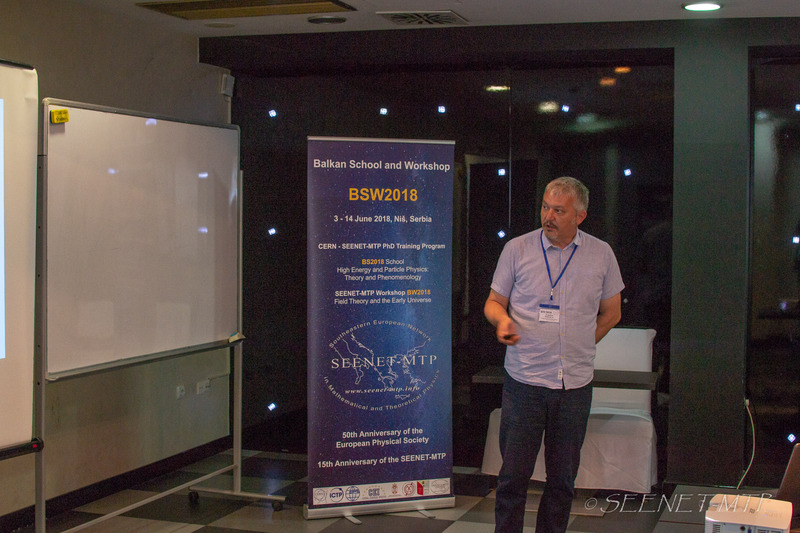 Prof. Radu Constantinesu (University of Craiova), member of the Representative Committee and former president of the SEENET-MTP Network Council was elected for the Vice-president of the BPU. 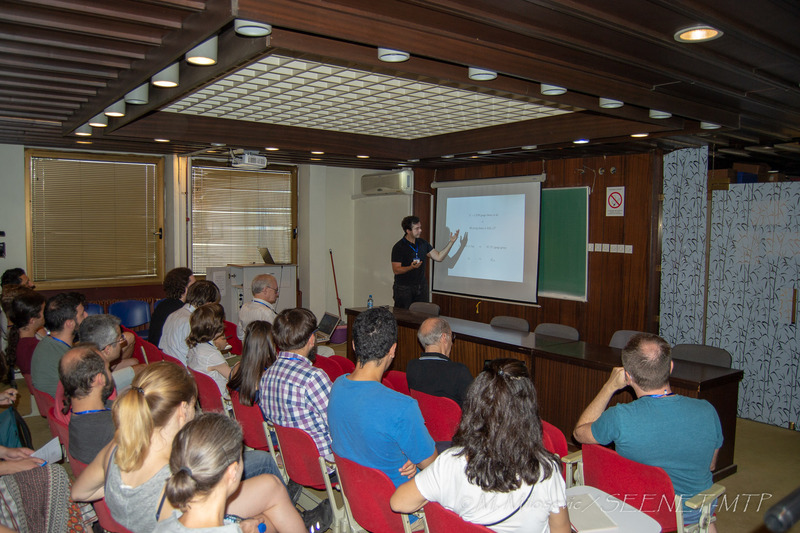 The International School of Advanced Studies (SISSA) is one of the leading scientific institutions in Italy for postgraduate training in Physics, Mathematics, and Neuroscience. 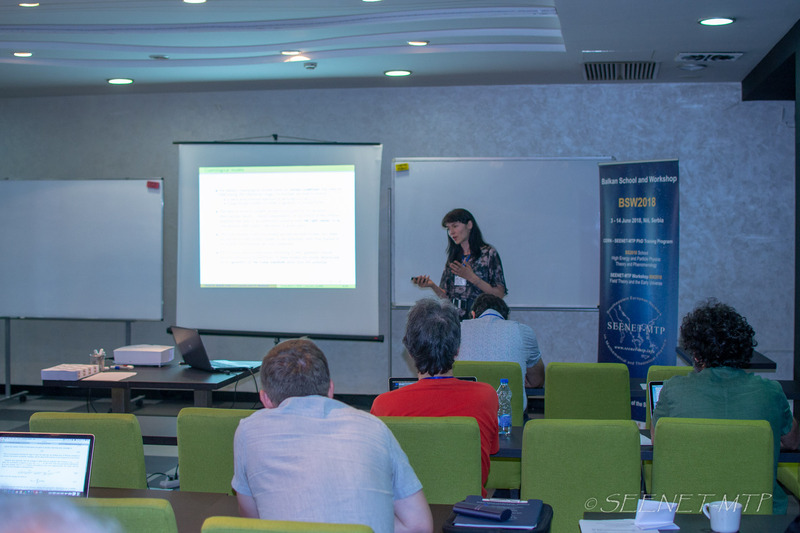 Unlike most universities, SISSA is fully devoted to PhD training, and hence the set of courses the students are offered during their first year is particularly wide, advanced, and intense. 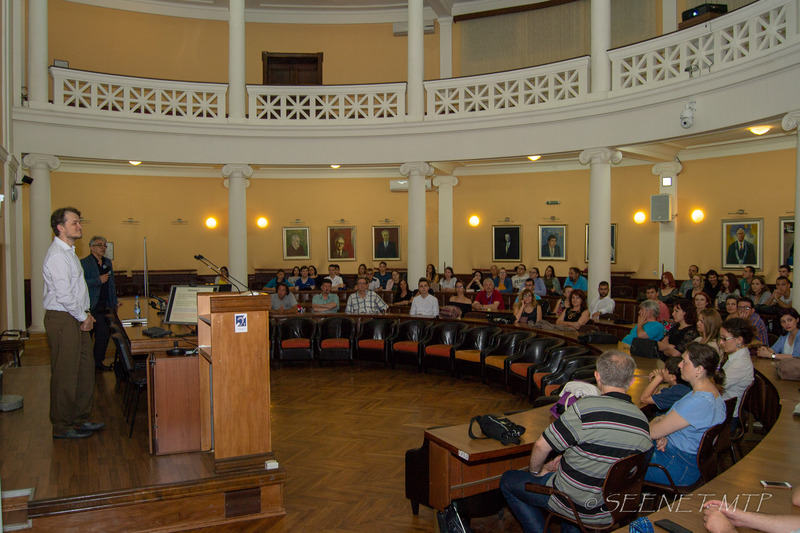 In particular our students devote the entire first year of their Ph.D. in attending a wide set of selected courses. 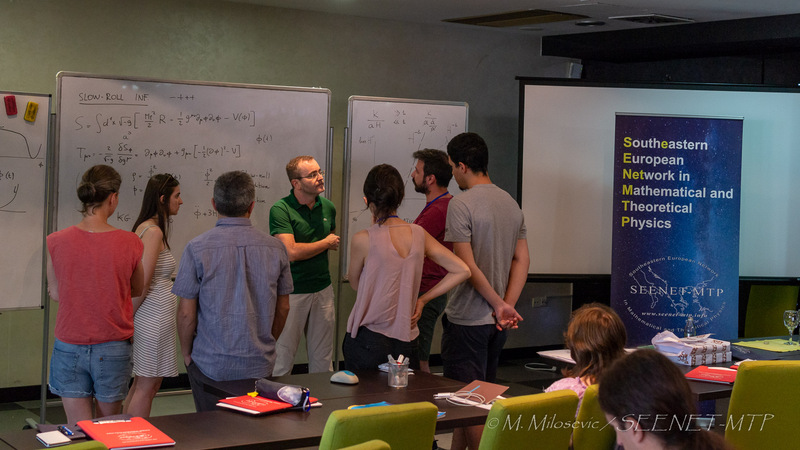 Starting from the academic year 2017-2018, the group of Theoretical Particle Physics (TPP) has planned to host for a given amount of time, ranging from a three-months term to the entire academic year (three terms), a number of selected Ph.D. students from other institutions, and give them the possibility to attend our course program. 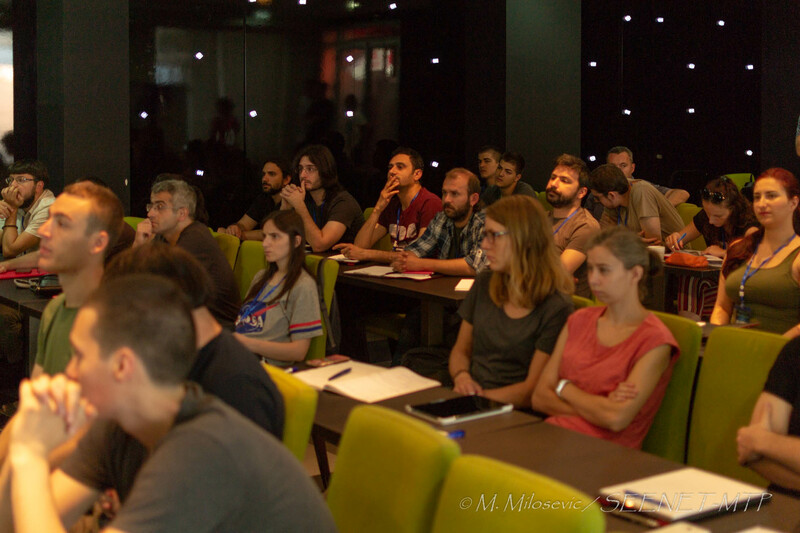 The program is open to students at any stage of their PhD and not only to beginners. 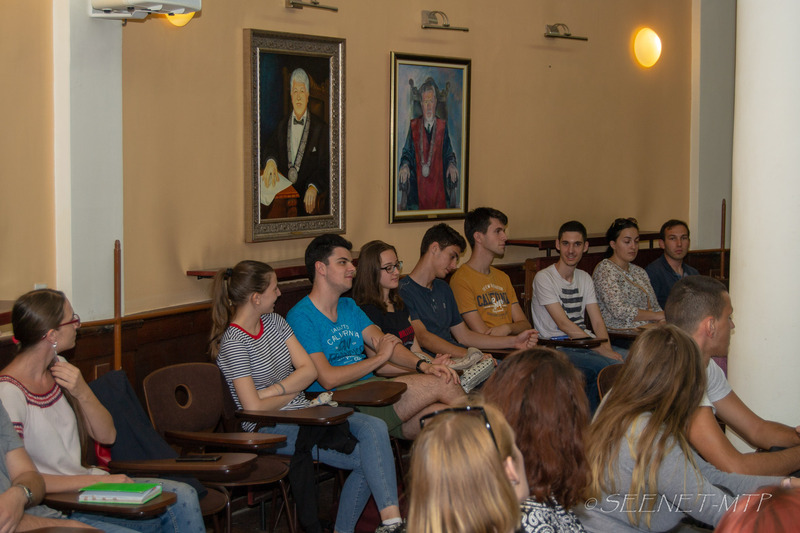 The list of courses offered for the academic year 2018-2019 can be found here. 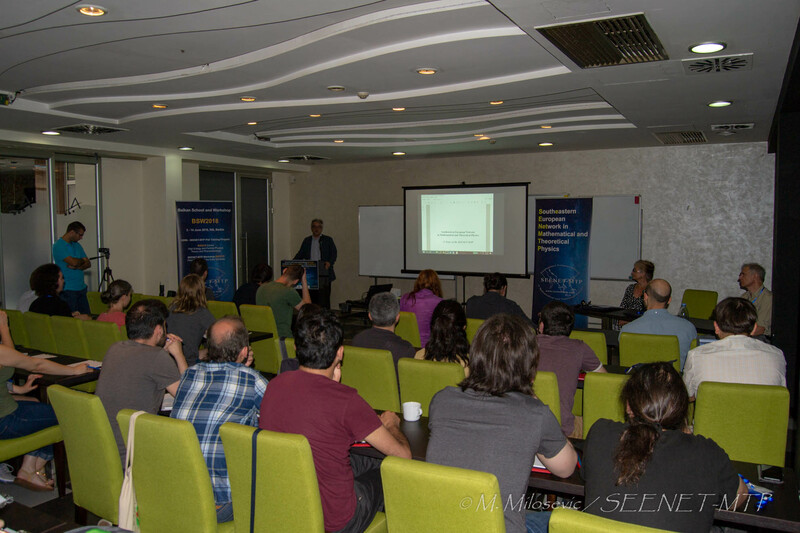 In addition to these courses, more specialised ones, typically addressed to advanced students and post-docs, are also offered. 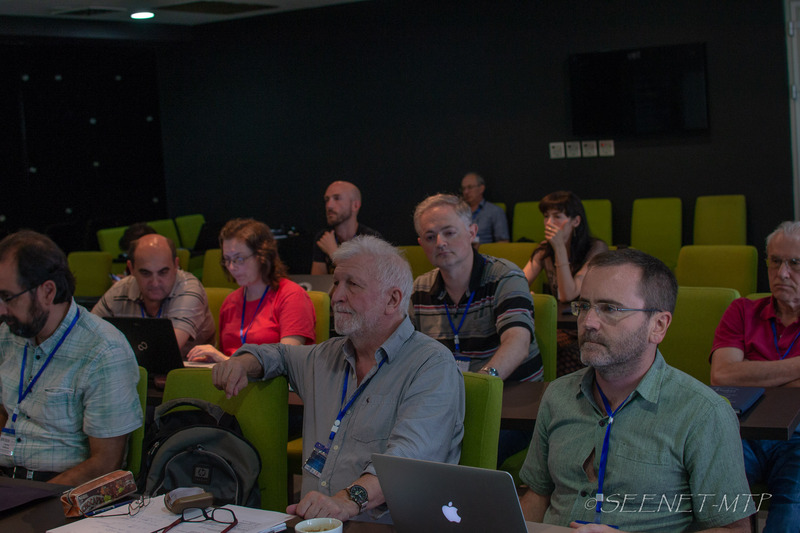 After this period, students are expected to go back to their home institutions and continue their Ph.D. research project with their own supervisors. 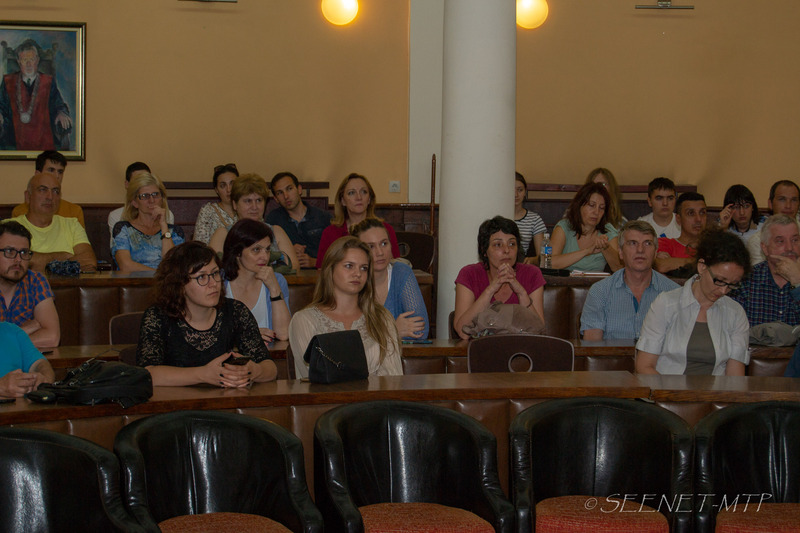 Partial financial support of approximately 500 euros/month towards living expenses is provided. 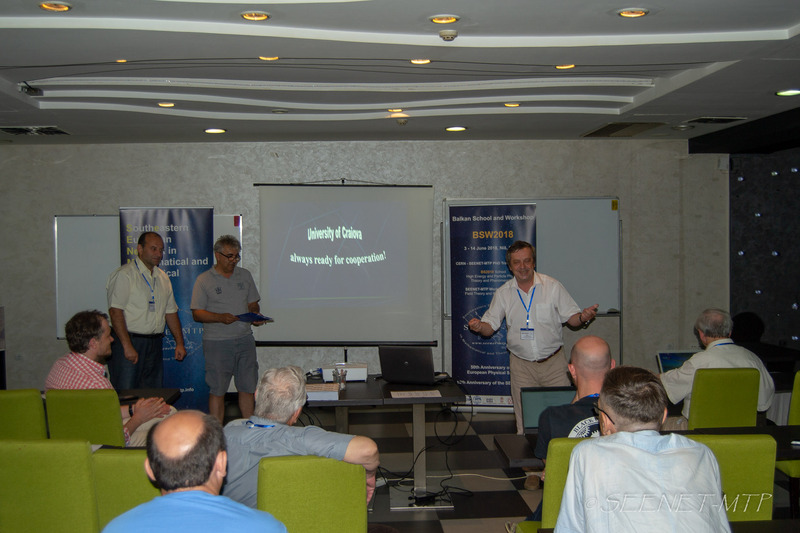 Details on how to apply can be found here. 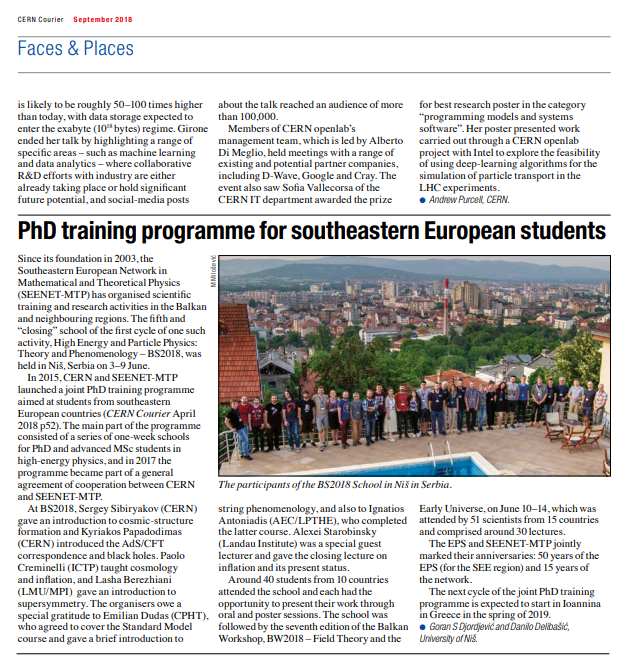 An article “PhD training programme for southeastern European students“, about the fifth PHD seminar “High Energy and Particle Physics: theory and Phenomenology” (3-10 June 2018), in the framework of the CERN – SEENET-MTP PhD Training Program, was published in latest issue of CERN Courier Magazine: September 2018 (Faces & Places, p. 72). 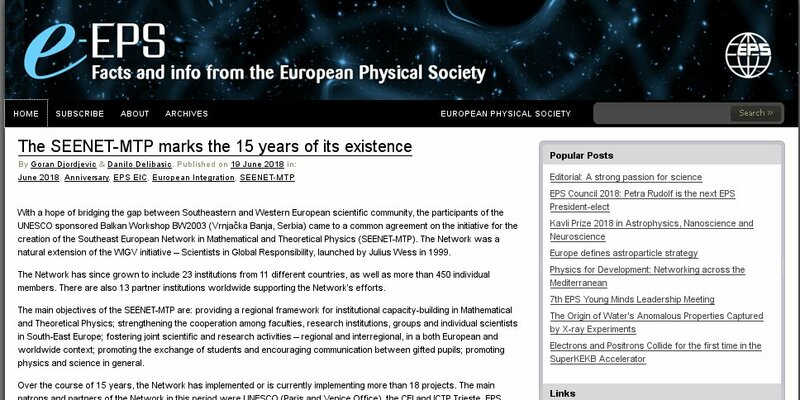 Full text is also available here. 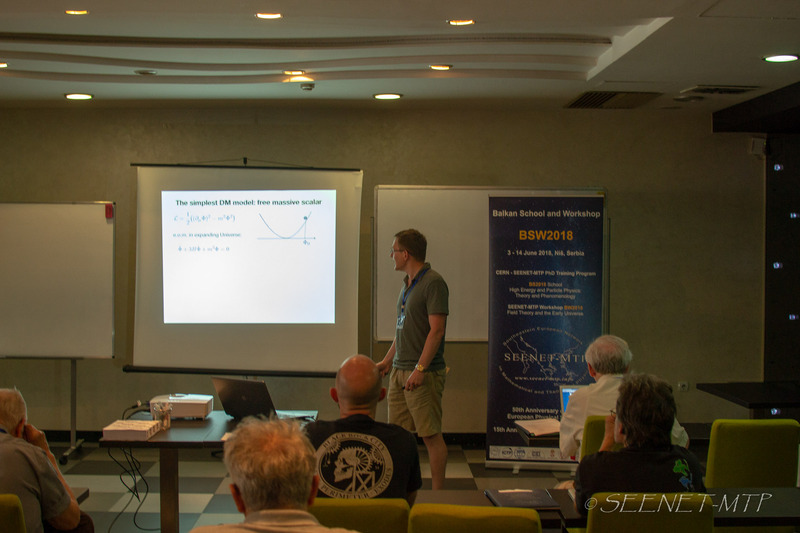 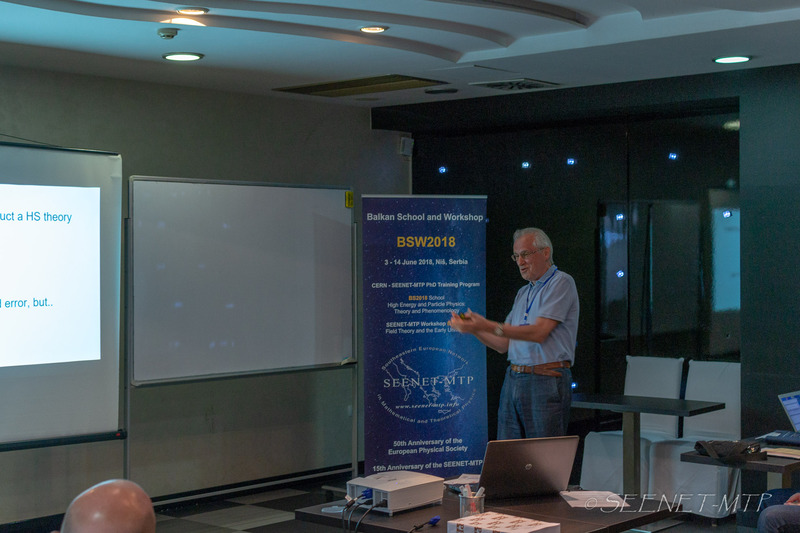 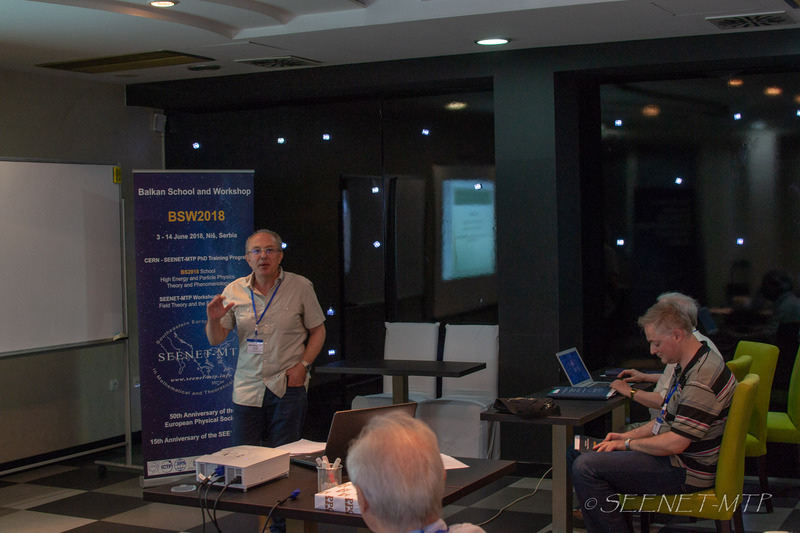 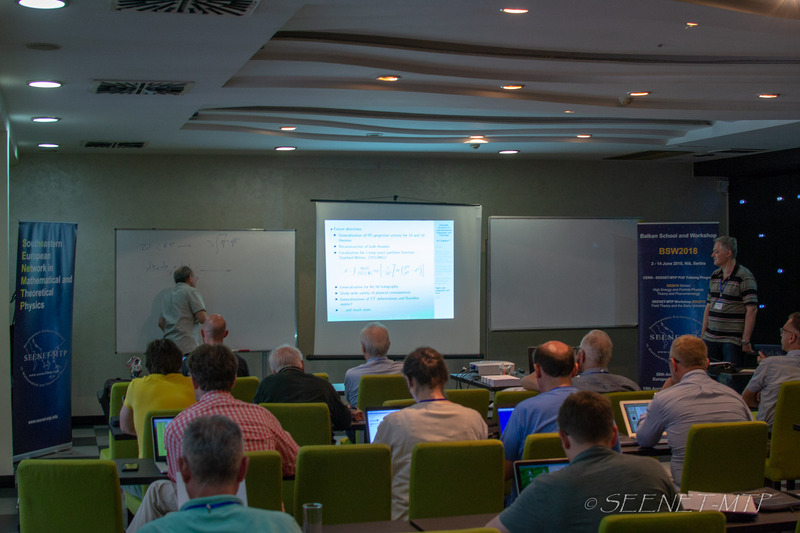 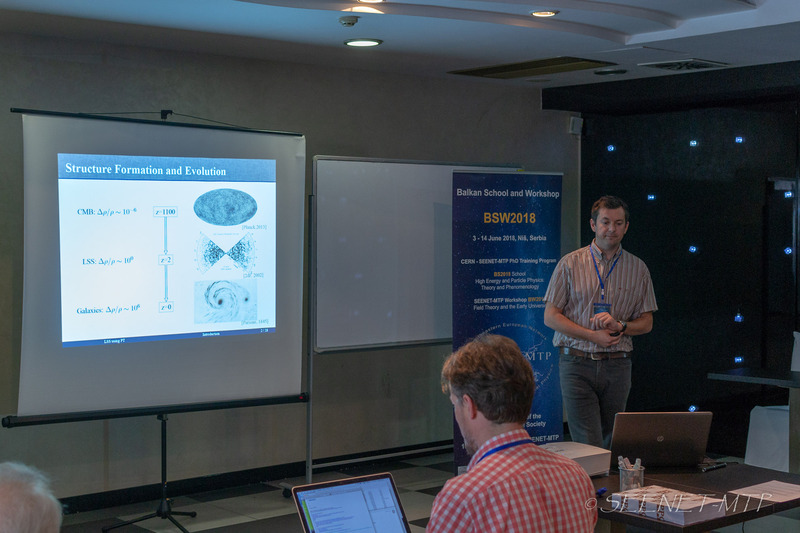 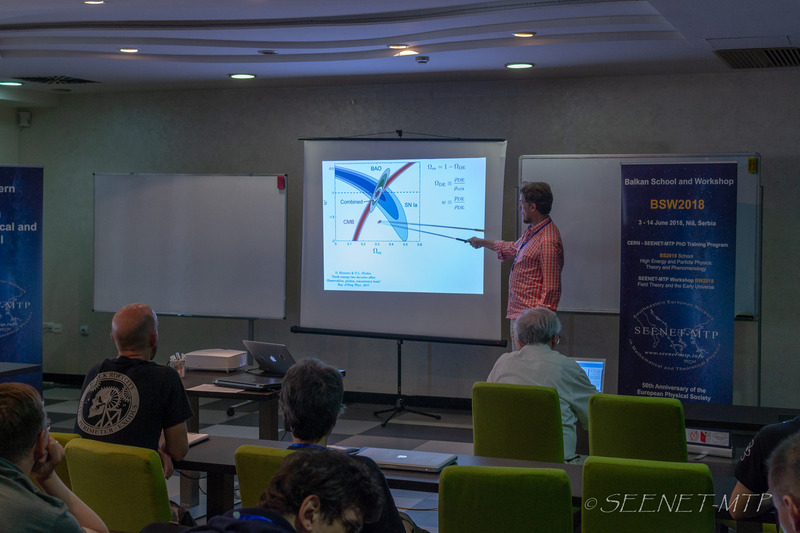 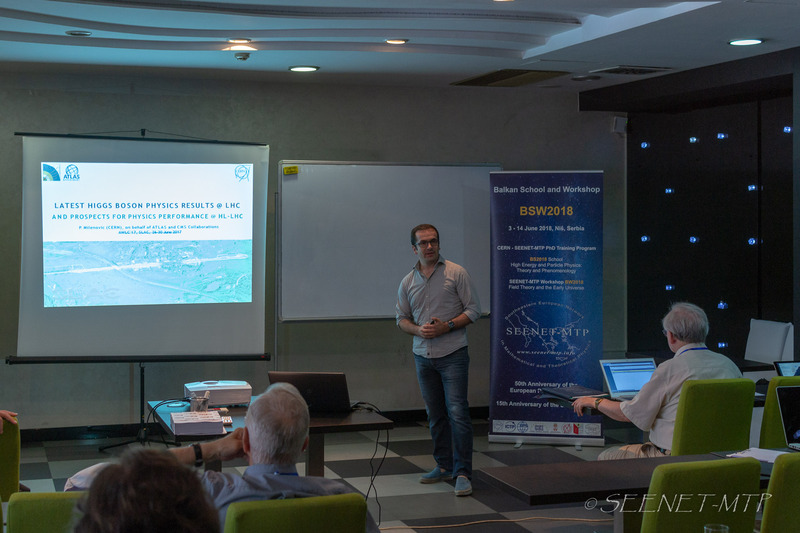 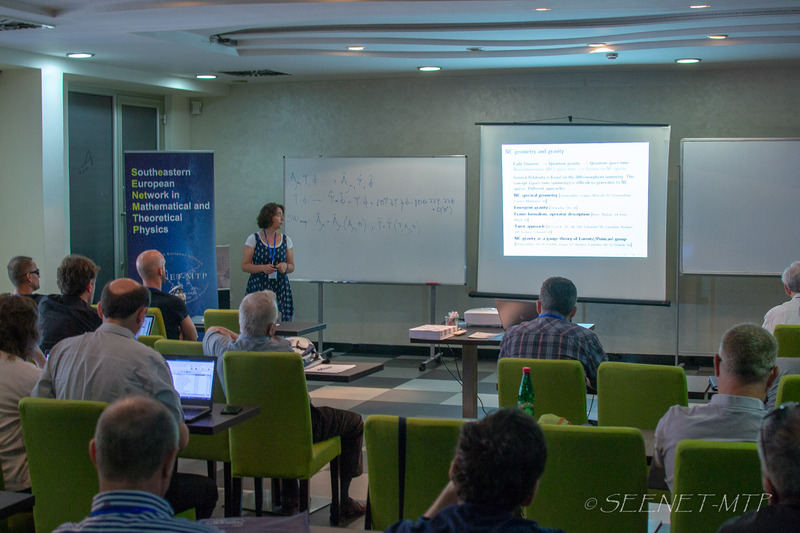 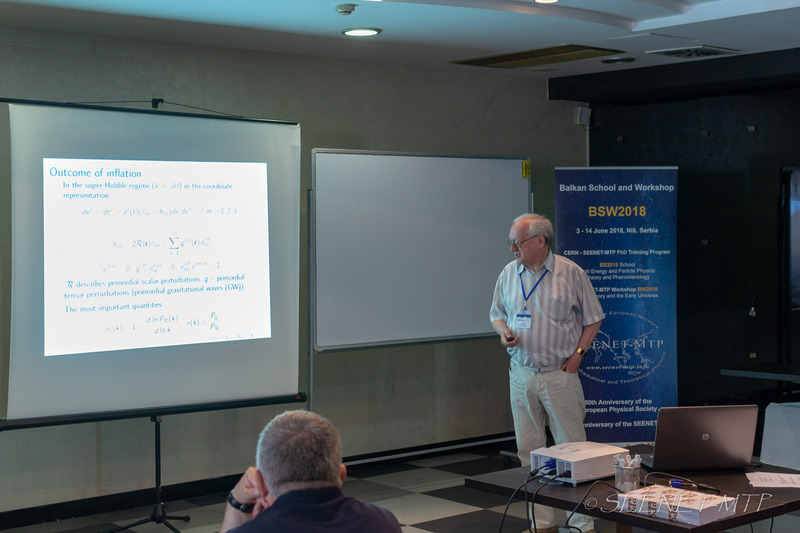 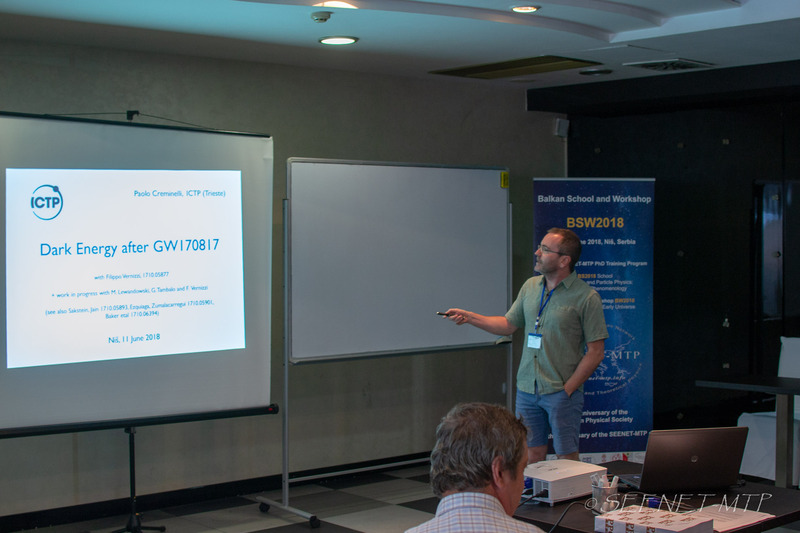 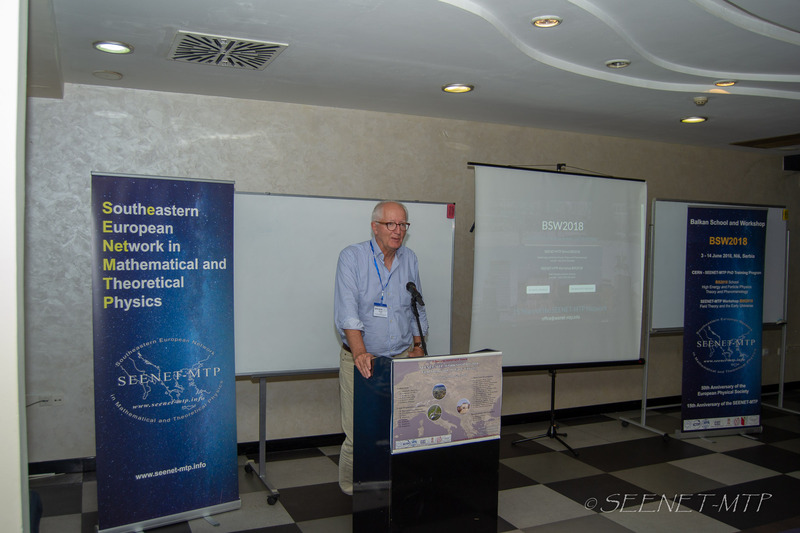 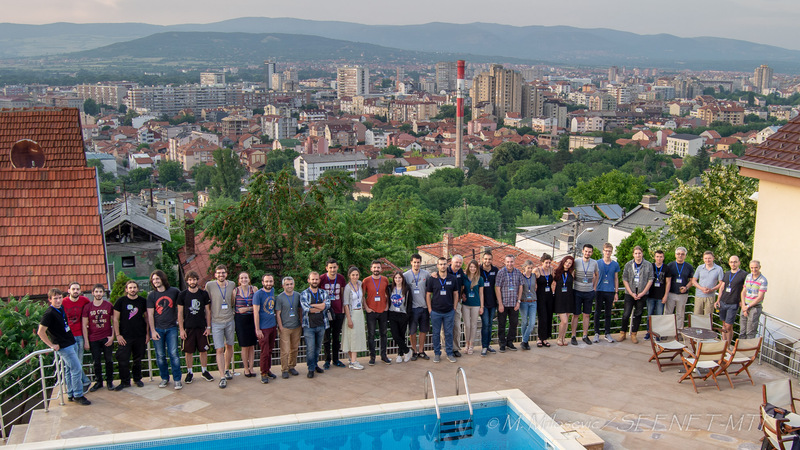 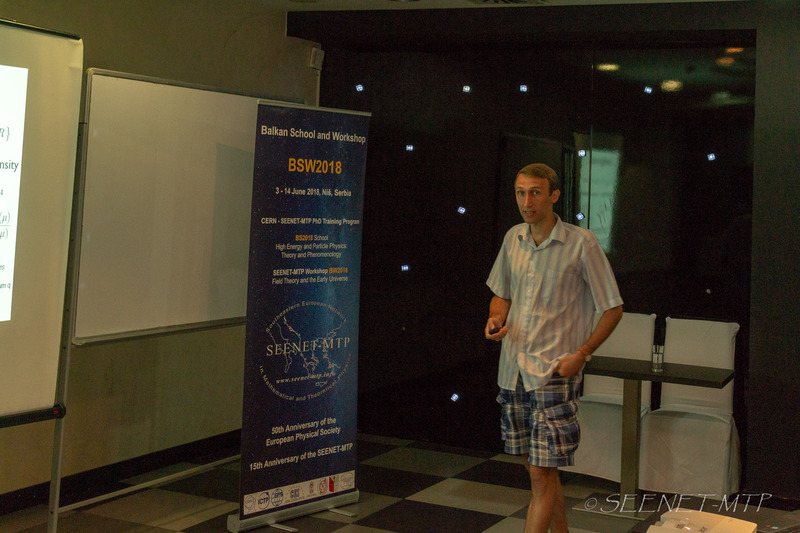 The SEENET-MTP Balkan Workshop BW2018 – Field Theory and the Early Universe, was held from 10-14 of June 2018, in Niš, Serbia. 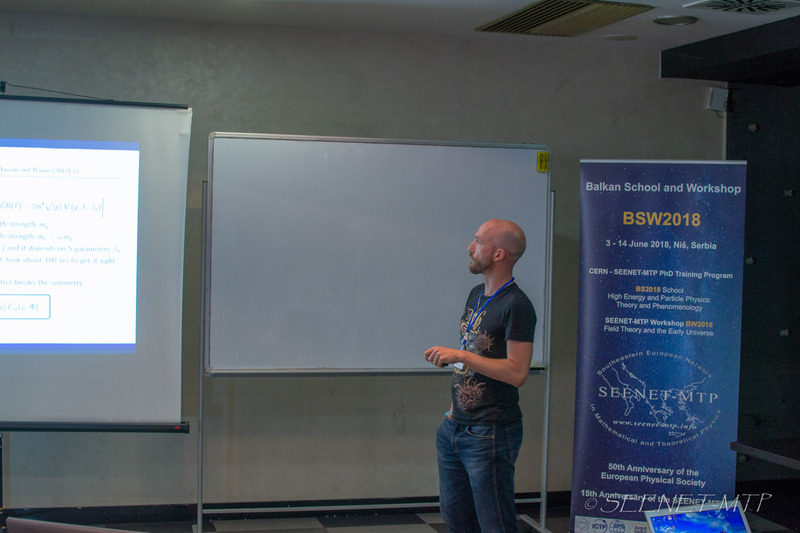 The Workshop represents a resumption of a series of schools and workshops initiated by the BW2003 Workshop. 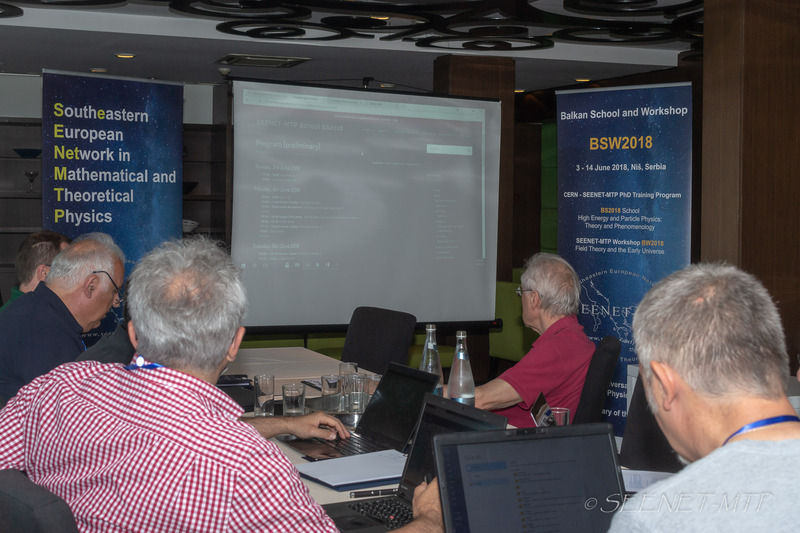 A total of 50 participants attended the BW2018, with around 30 lectures being held. 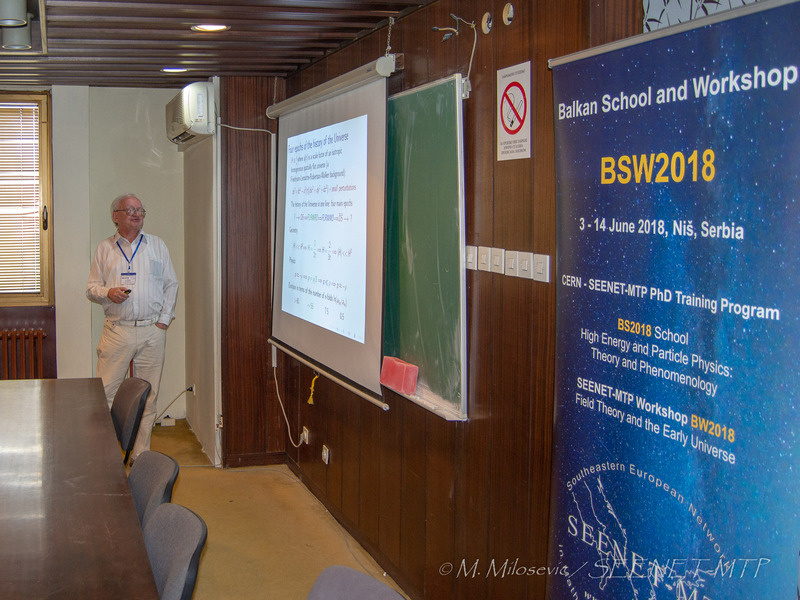 The scientific part of the Workshop included recent developments in Beyond the Standard Cosmological Model(s) and related fields. 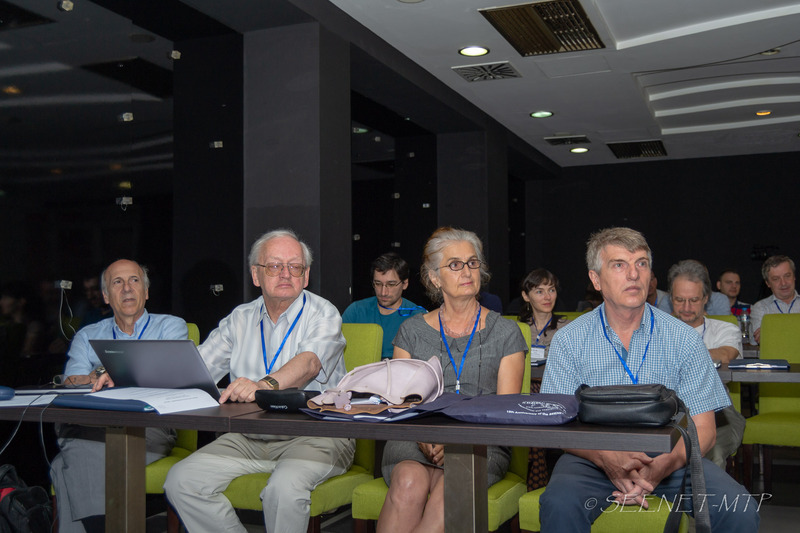 This presented an excellent opportunity to gather the leading experts from South-East, Central and Eastern Europe, EU, USA, to discuss open problems and perspectives in the main scientific areas of the Workshop. 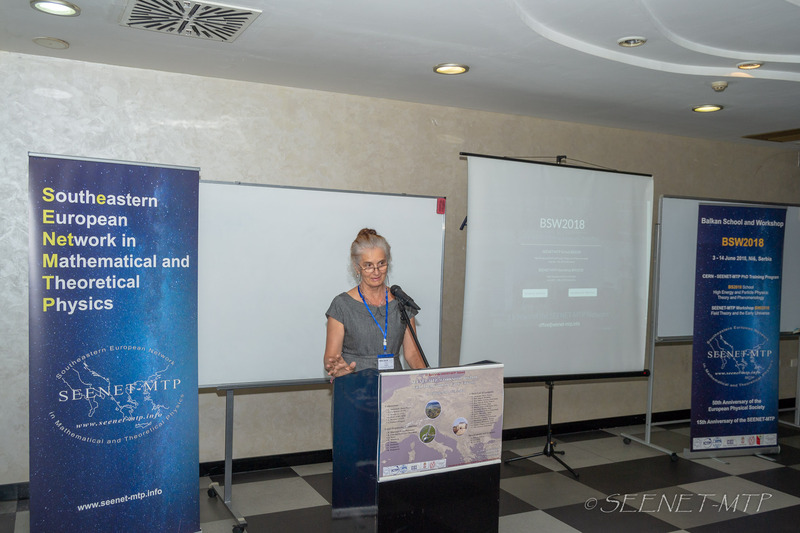 The educational and organizational part included discussions related to regional and inter-regional cooperation in Science and Education. 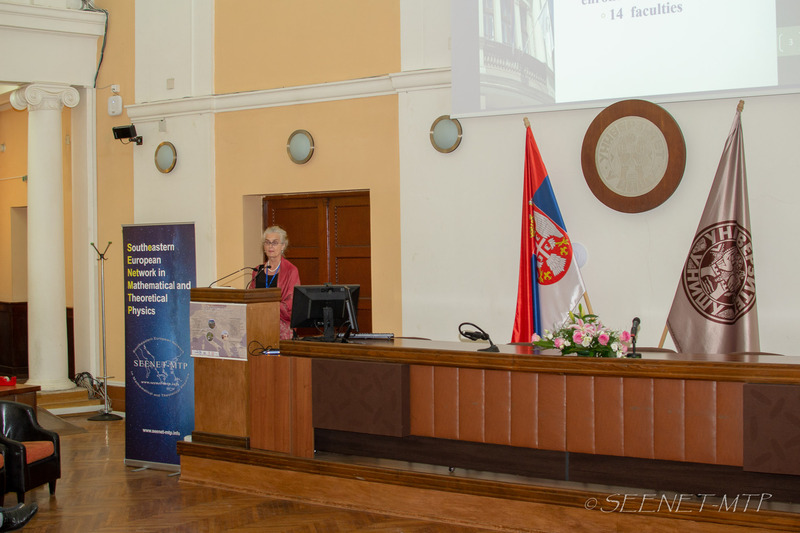 A series of round tables were organized, with a few invited lecturers and moderators from CEI, UNESCO, European Physical Society (EPS), Balkan Physical Union (BPU), CERN and ICTP. 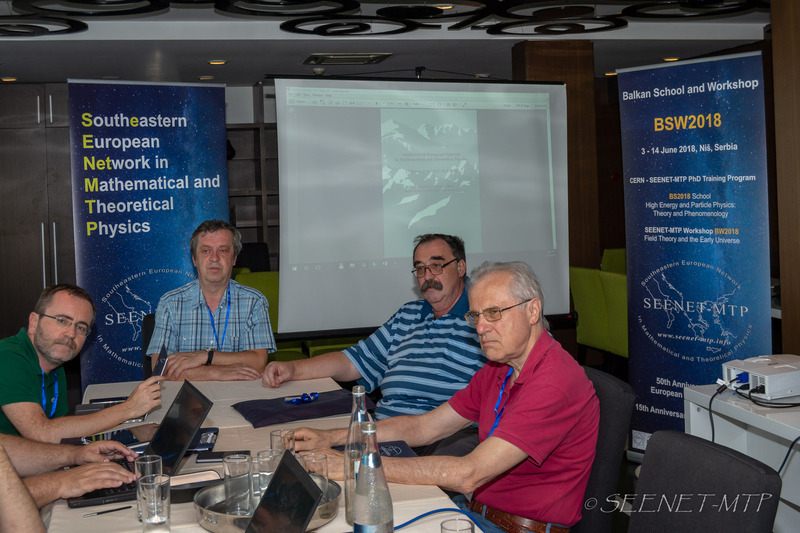 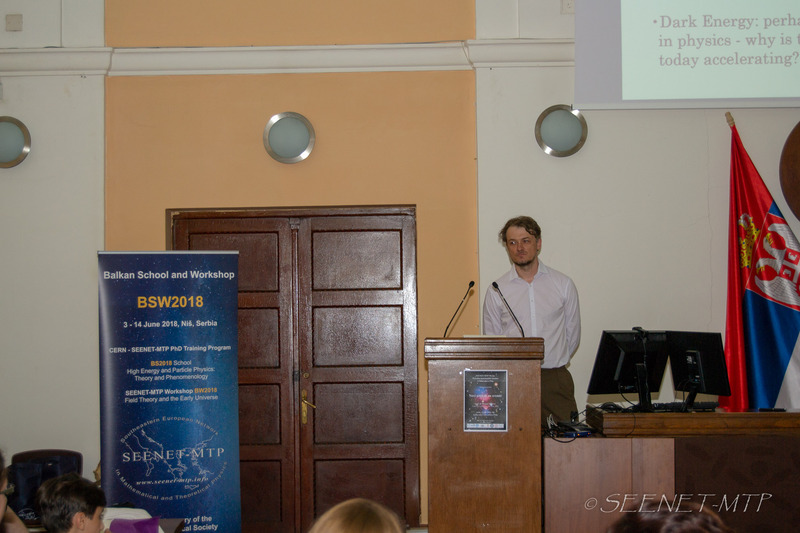 The round-table discussions were focused on actions promoting and strengthening research, education and capacity-building in physics in natural sciences with an emphasis on South Eastern Europe, in a European and worldwide framework. 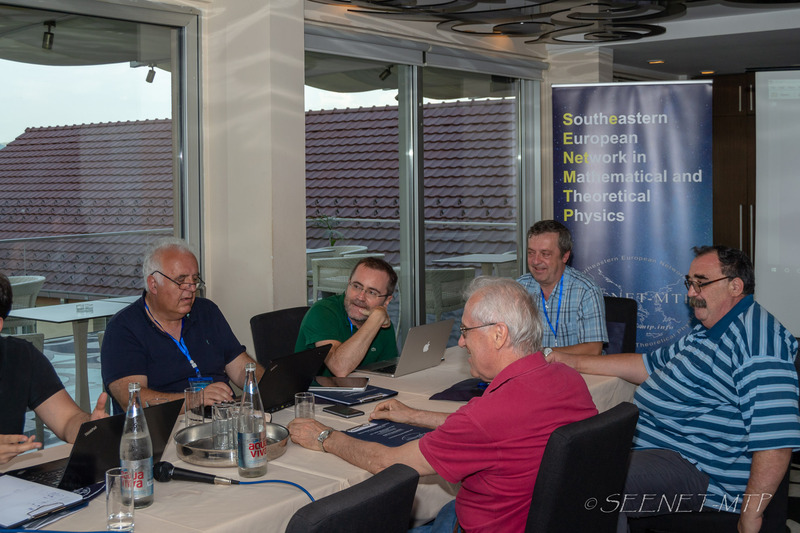 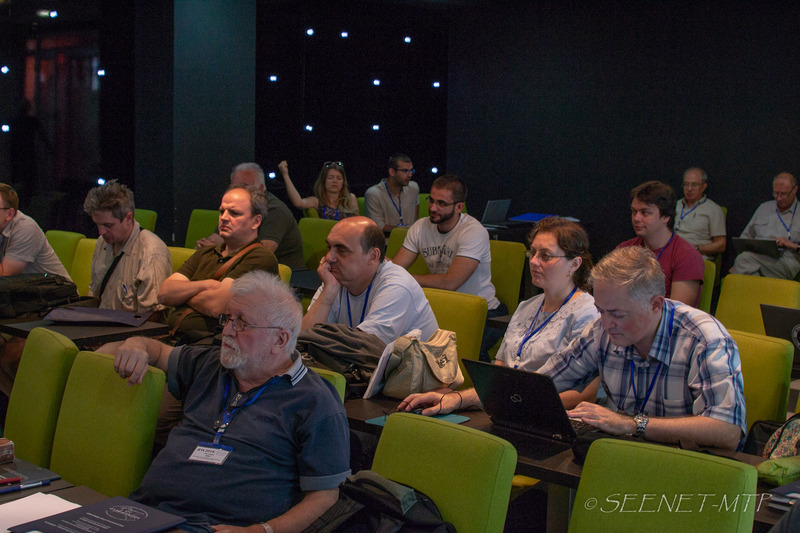 A meeting of the Scientific-Advisory Committee of the SEENET-MTP Network was held during the Workshop. 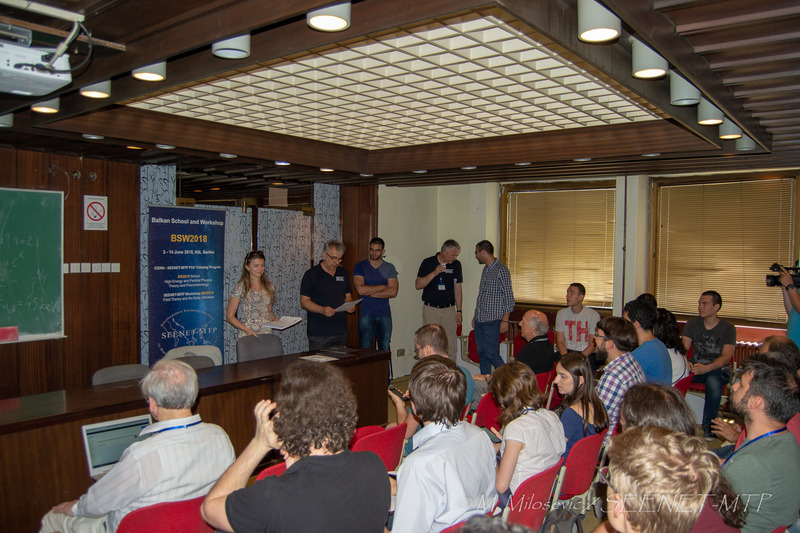 It was announced that the ICTP will join the current bilateral agreement between CERN and the SEENET-MTP, and financially support the next three-year cycle of the PhD Training Program, for the period 2019-2022. 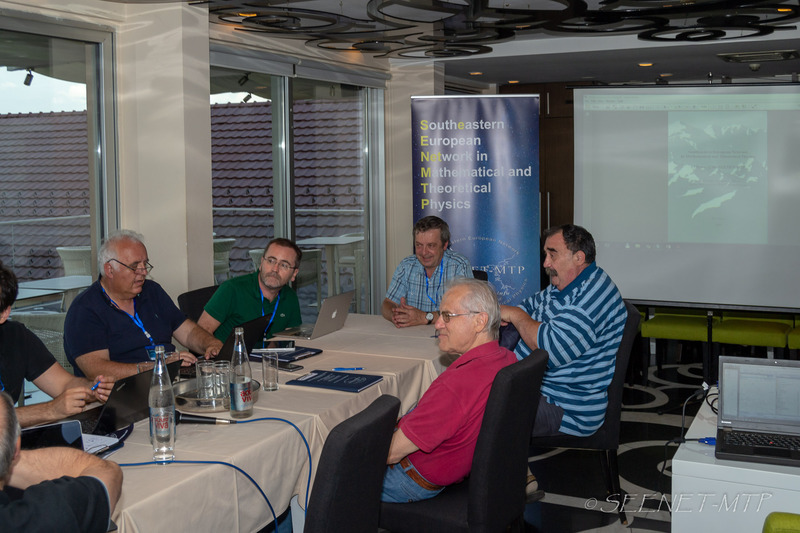 A part of the Workshop was dedicated to the regional celebration of the 50 years of the EPS, as well as to the marking of the 15 years of the SEENET-MTP Network’s existence. 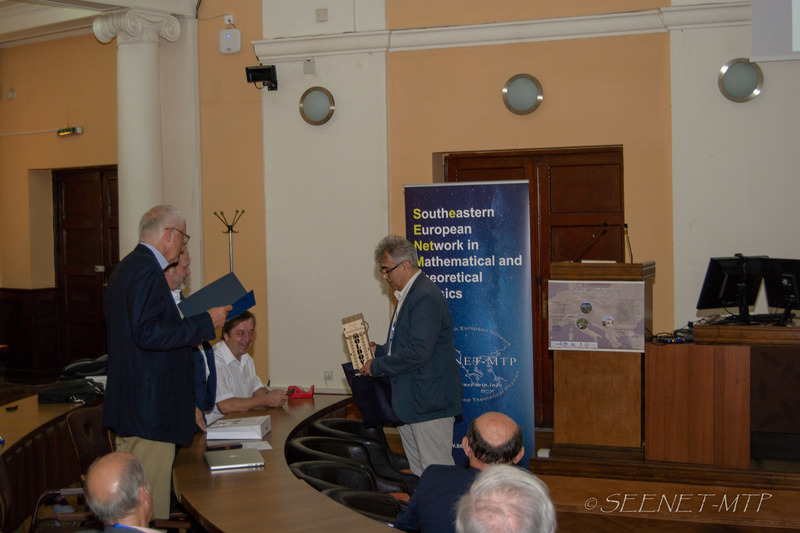 For their great contribution to the development of the Network, Awards of Merit have been presented to Prof. Loriano Bonora and the EPS. 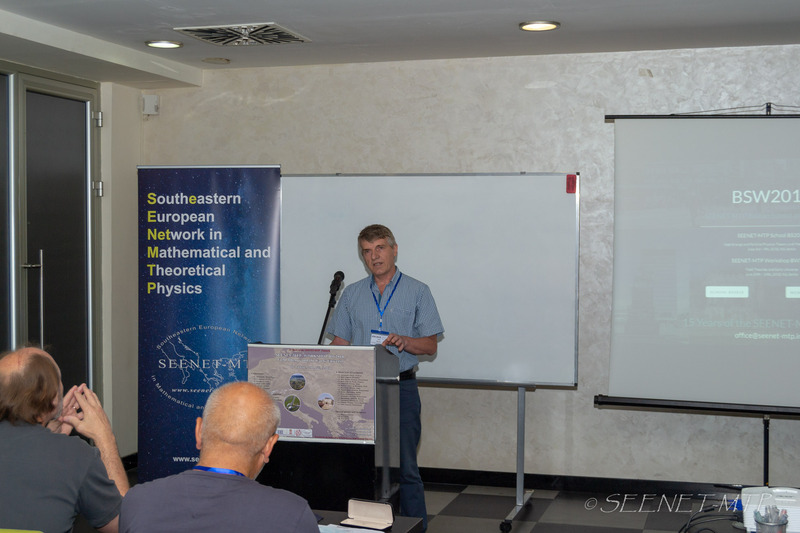 The Workshop was coorganized by the SEENET-MTP Office and the Faculty of Sciences and Mathematics, University of Niš, Serbia, as well as the Faculty of Mathematics and Natural Sciences, University of Craiova, Romania. 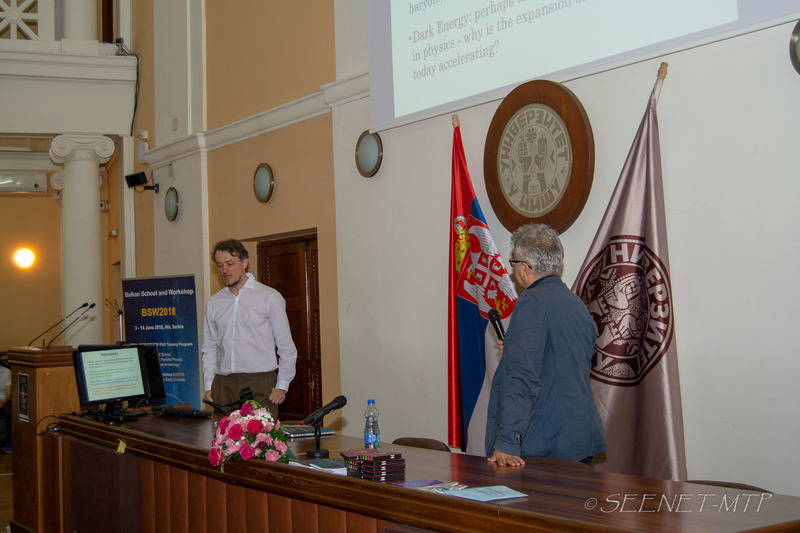 The event was organized in collaboration and with support by the University of Niš, CEI, EPS and the national ministry of science. 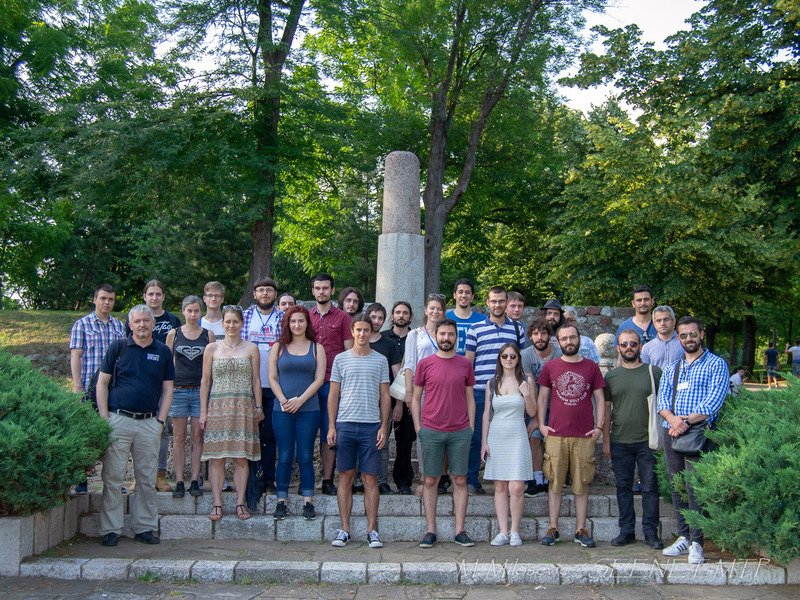 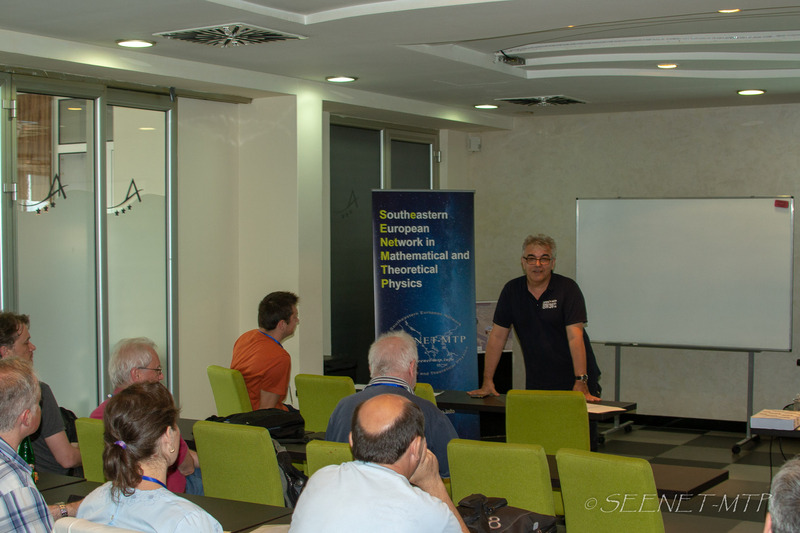 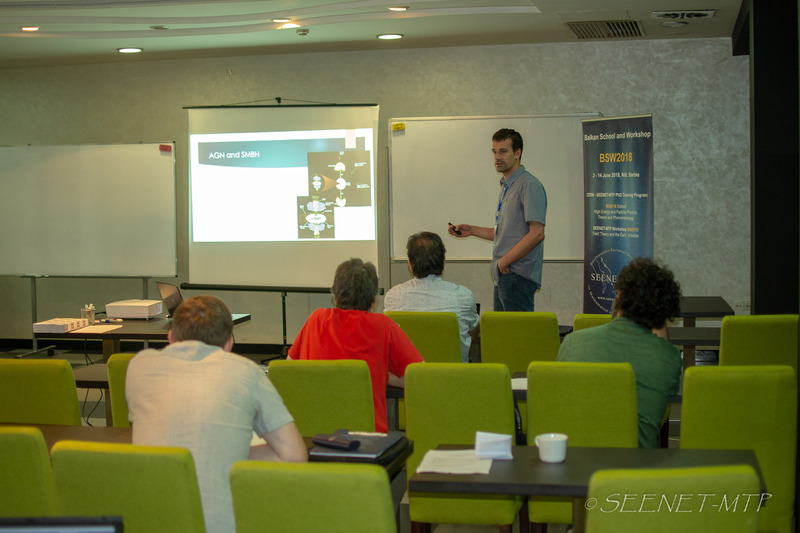 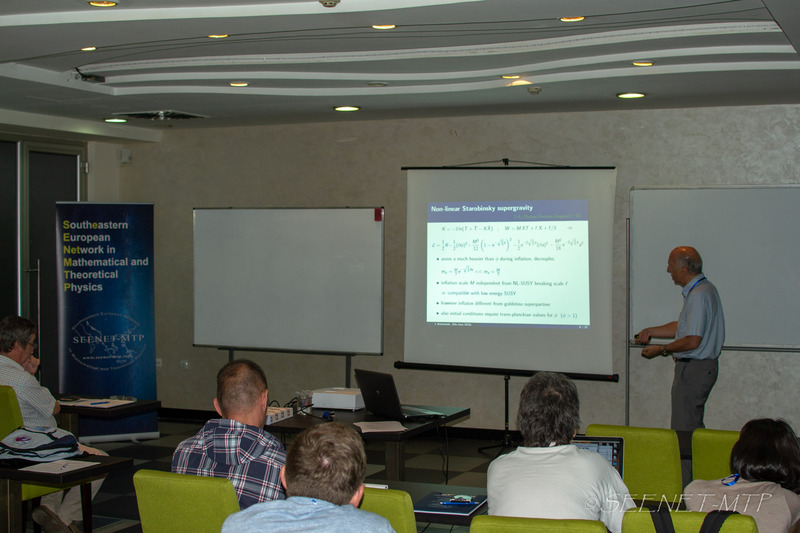 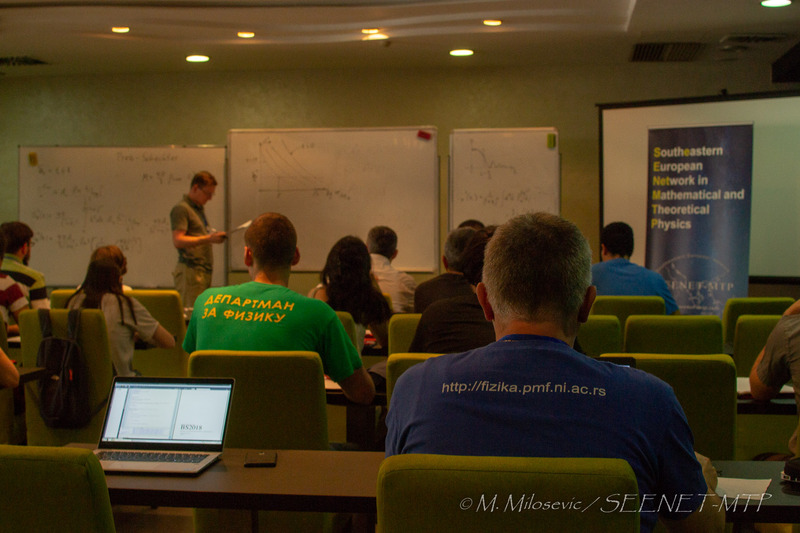 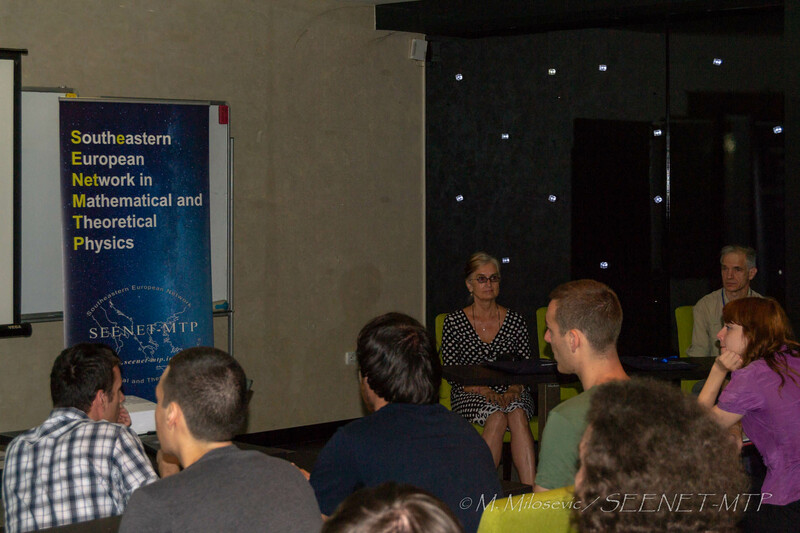 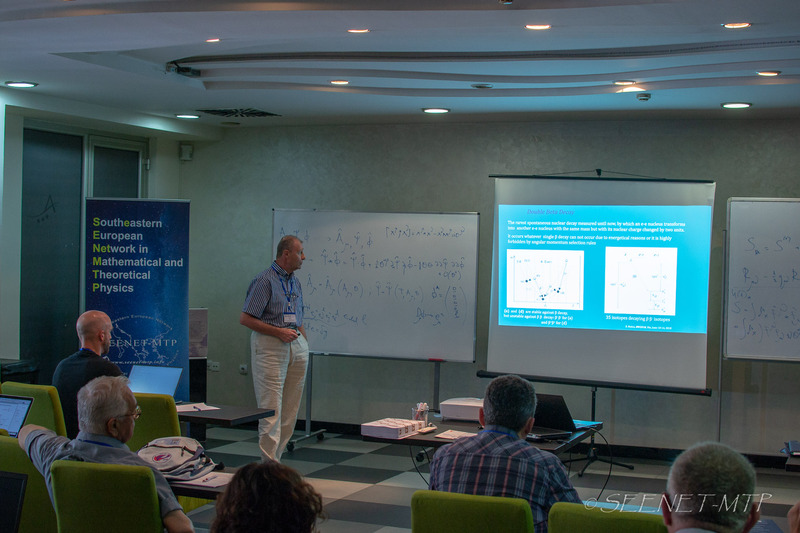 The fifth School in the joint CERN – SEENET-MTP PhD Training Program, entitled Balkan School BS2018 – High Energy and Particle Physics: Theory and Phenomenology, was held from 3-10 of June 2018, in Niš, Serbia. 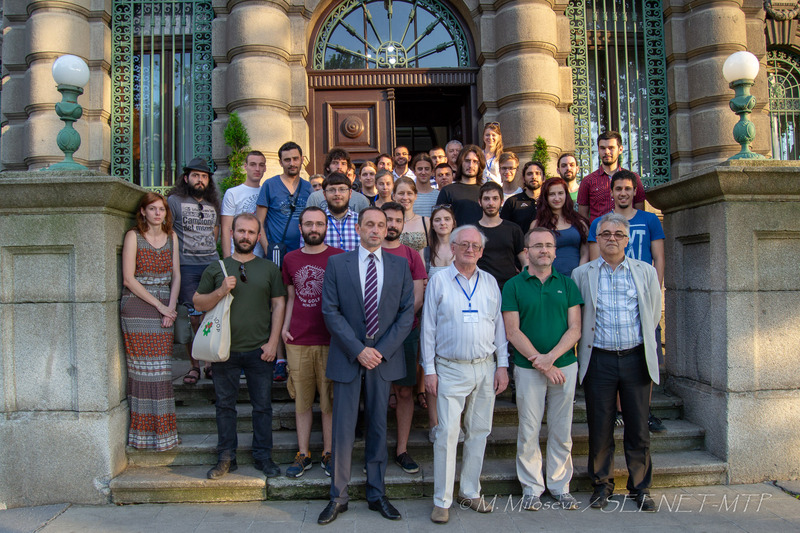 The School marked the completion of the first cycle of the CERN – SEENET-MTP Program for PhD students and young scientists. 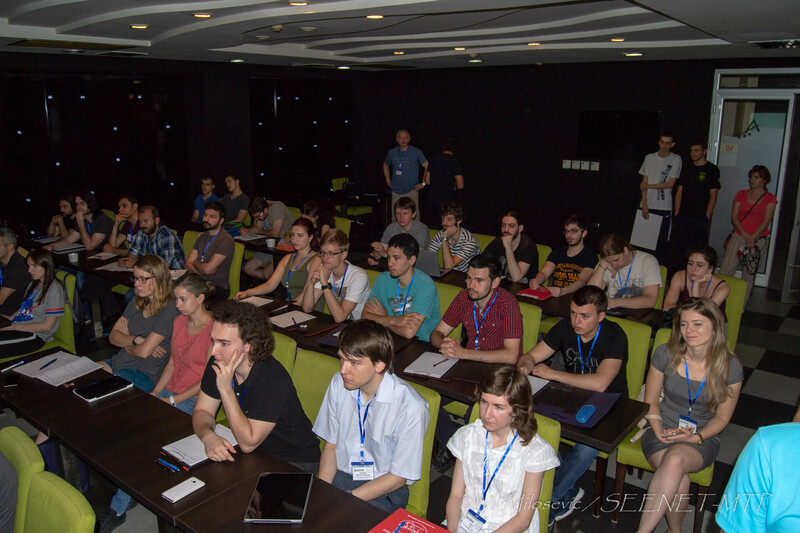 This final School of the Program was devoted primarily to PhD students in the fields of Cosmology and High Energy Physics. 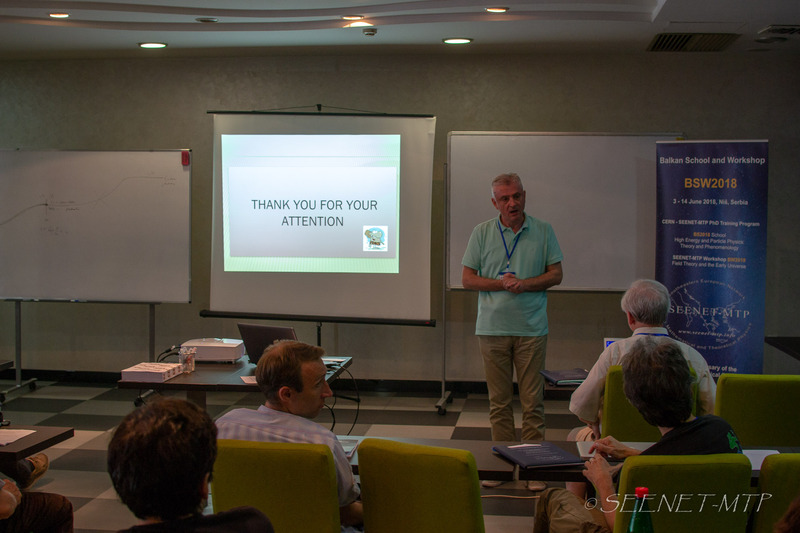 A total of 40 participants from 10 countries attended the School. 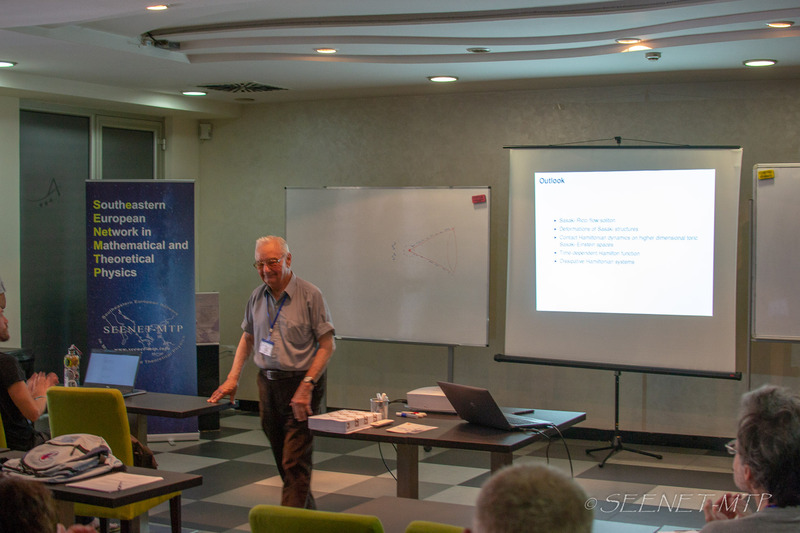 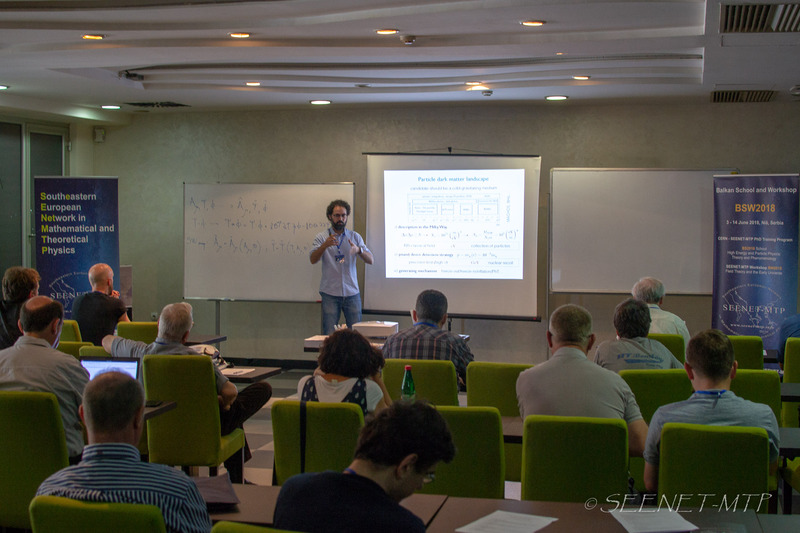 The lectures were held by Ignatios Antoniadis (String Phenomenology), Lasha Berezhiani (Introduction to Supersymmetry), Paolo Creminelli (Cosmology and Inflation), Emilian Dudas (Standard Model and String Phenomenology), Kyriakos Papadodimas (AdS/CFT correspondence and Black Holes) and Sergey Sibiryakov (Introduction into Cosmic Structure Formation). 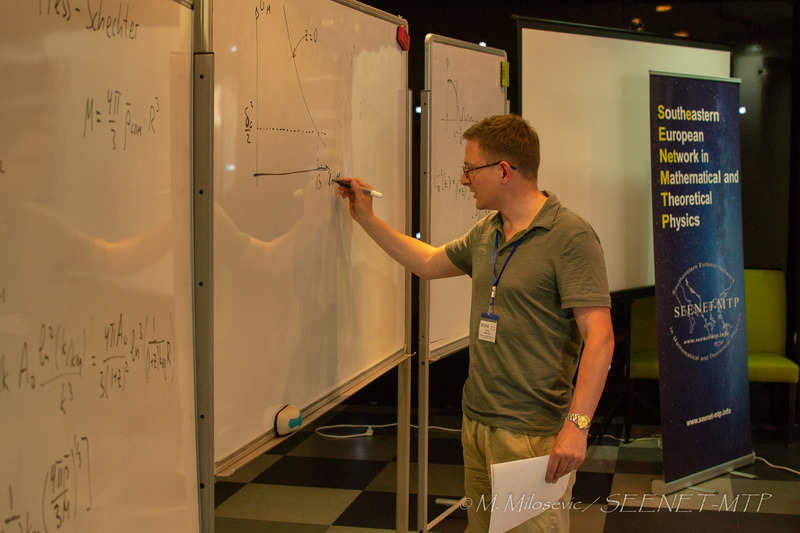 A guest lecture was held by Alexei Starobinsky (Inflation: The Present Status). 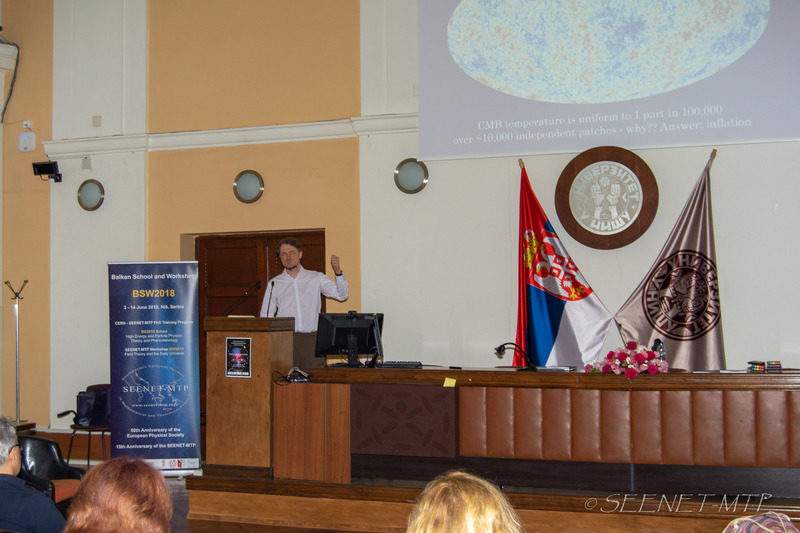 The School was organized by the SEENET-MTP Centre, the Faculty of Sciences and Mathematics, University of Niš, Serbia and the Faculty of Mathematics and Natural Sciences, University of Craiova, Romania, in cooperation with CERN TH, the ICTP and supported by the European Physical Society and the Central European Initiative. 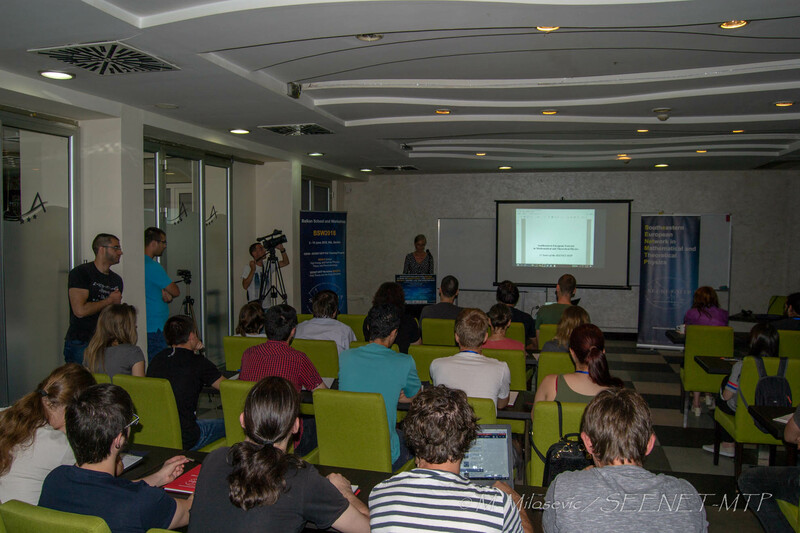 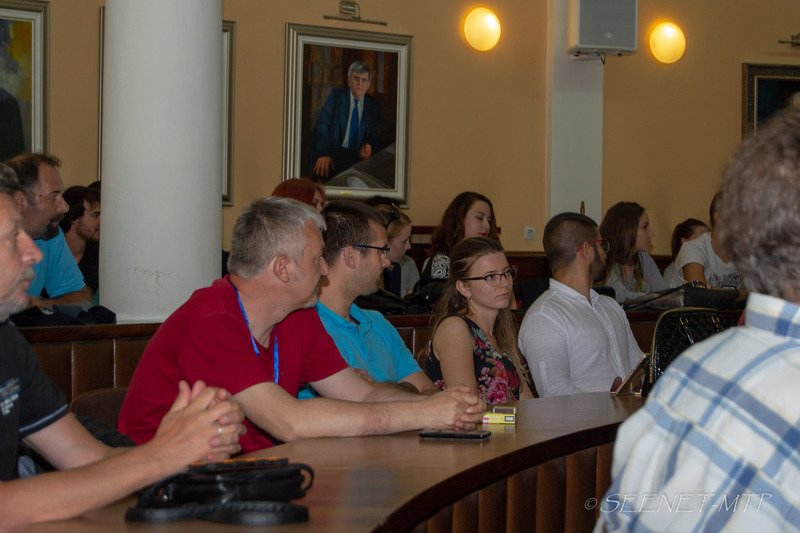 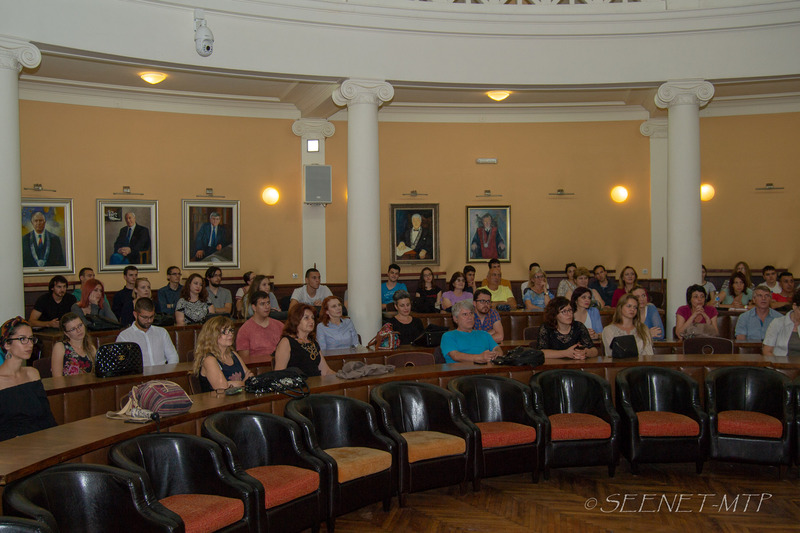 The event was organized in collaboration and with support by the University of Niš. 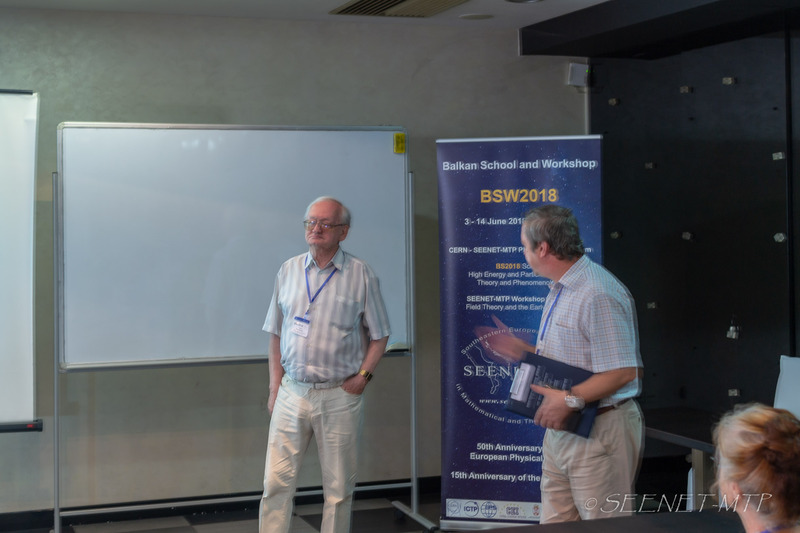 More information and photos are available at the website of the BS2018. 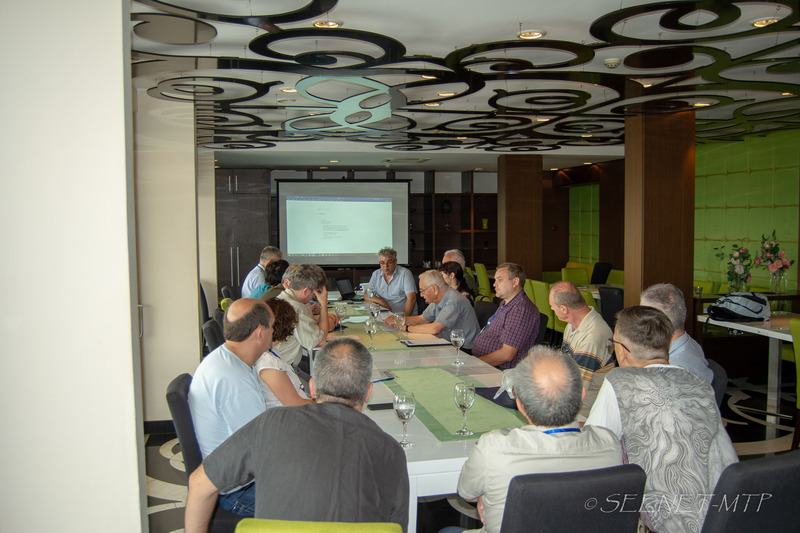 During the SEENET-MTP BW2018 Workshop, held in Nis, Serbia, 10-14 of June 2018, the SEENET-MTP Representative Committee/Council and the Executive Committee each held their meetings and made several decisions. 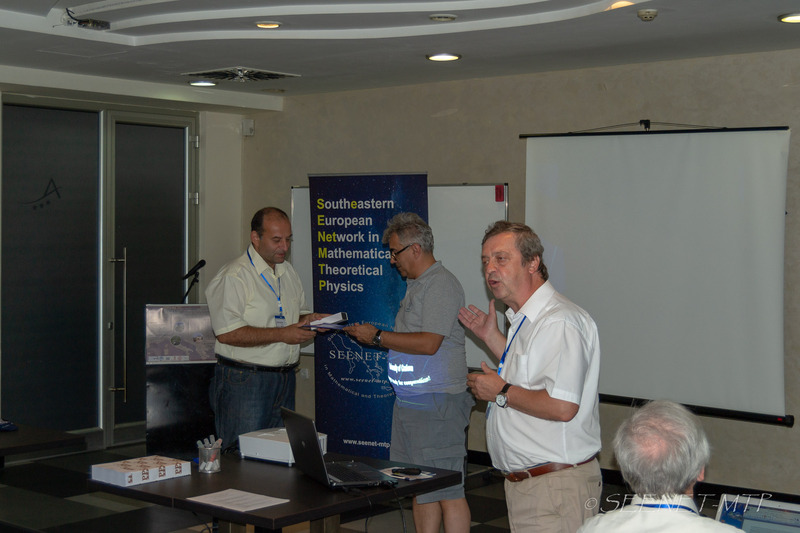 The Council elected Prof. Ioannis Rizos (University of Ioannina, Greece), as its new President and the President of the Network. 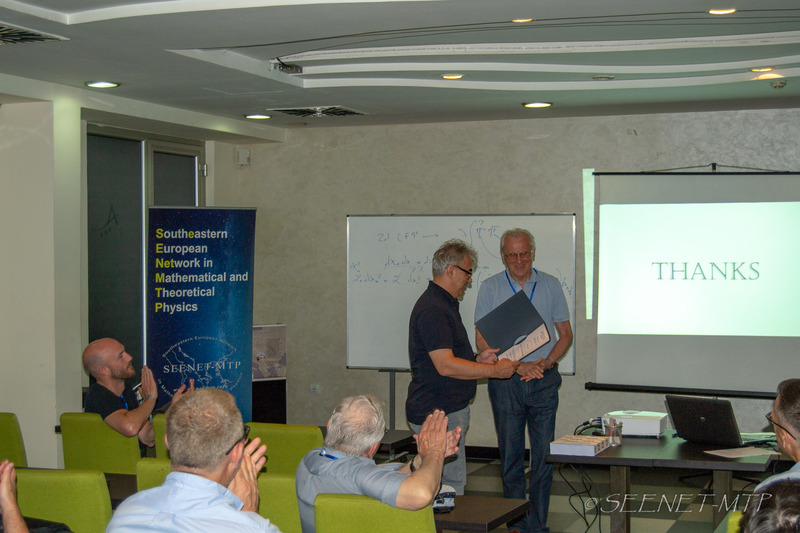 The Council expressed its sincere gratitude to Prof. Dumitru Vulcanov, for his service and contribution to the RC and to the Network during his term as the President (2013-2018). 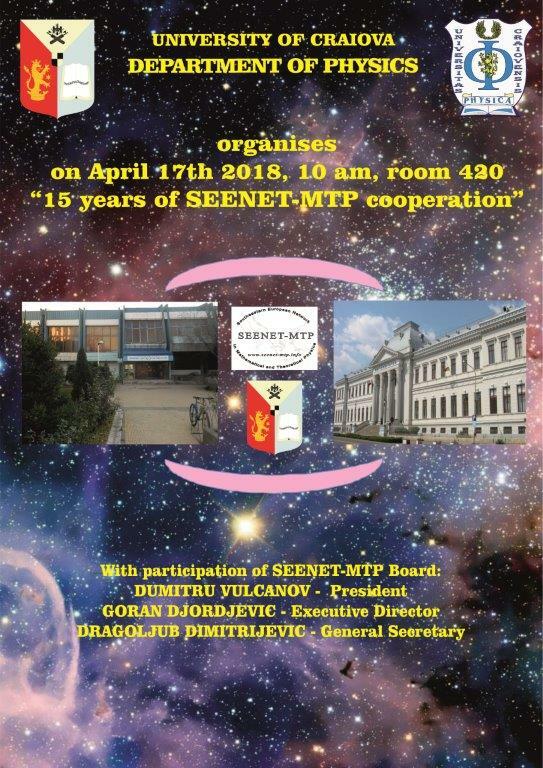 The Statement of the SAC on the occasion of 15 years of the SEENET-MTP Network is available here. 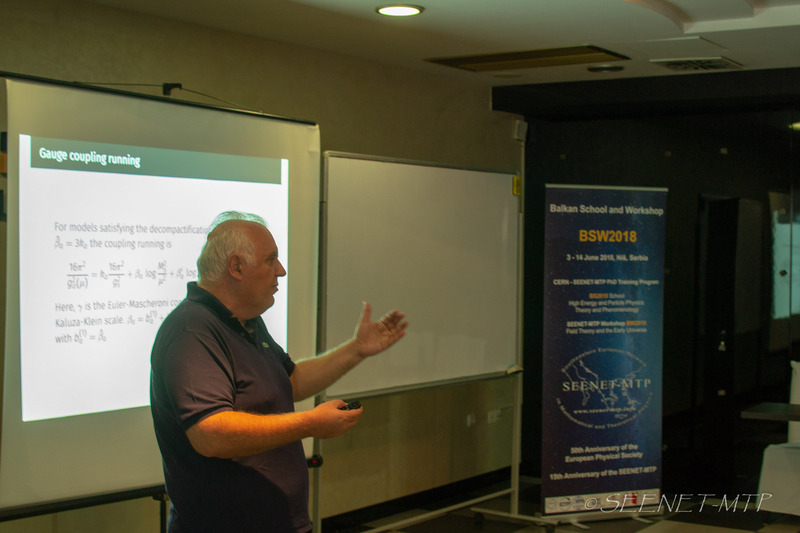 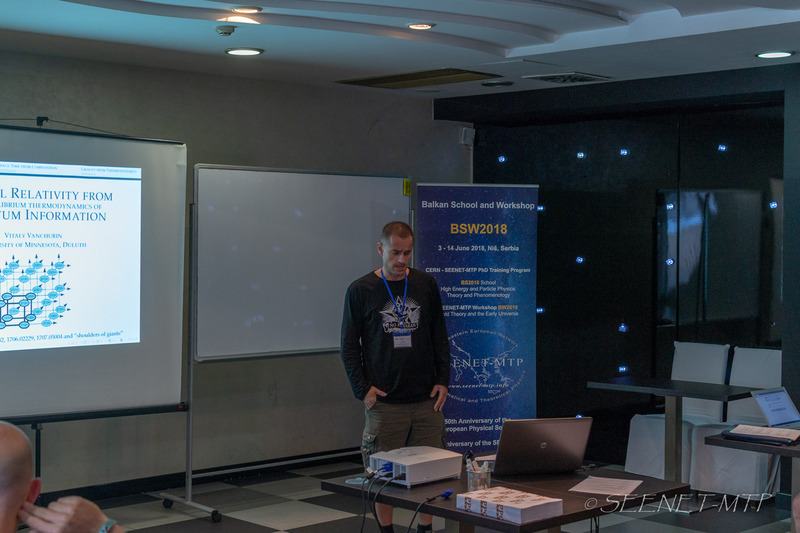 Prof. Dr. Vladimir Dobrev (INRNE, Sofia Network Node, Bulgaria) visited Bucharest Network node, IFIN HH, from Sunday, 13rd May to Friday, 18th May. 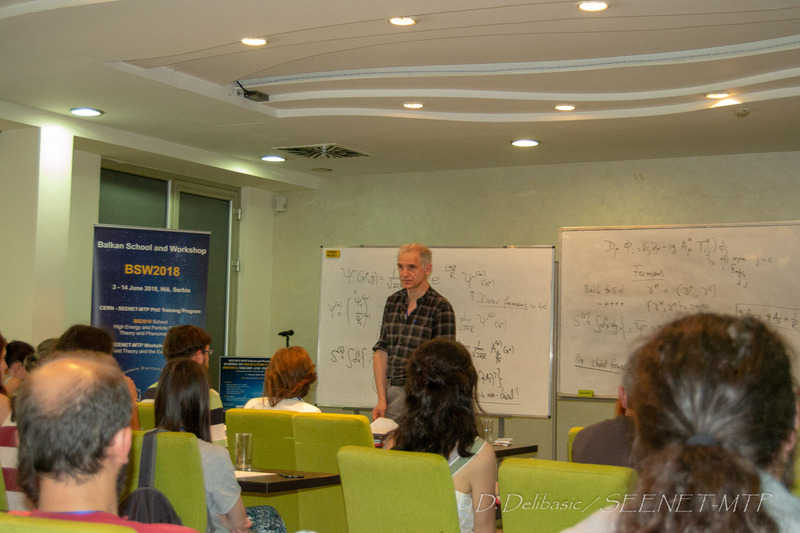 at the Department of Theoretical Physics, the Geometry and Physics seminar. 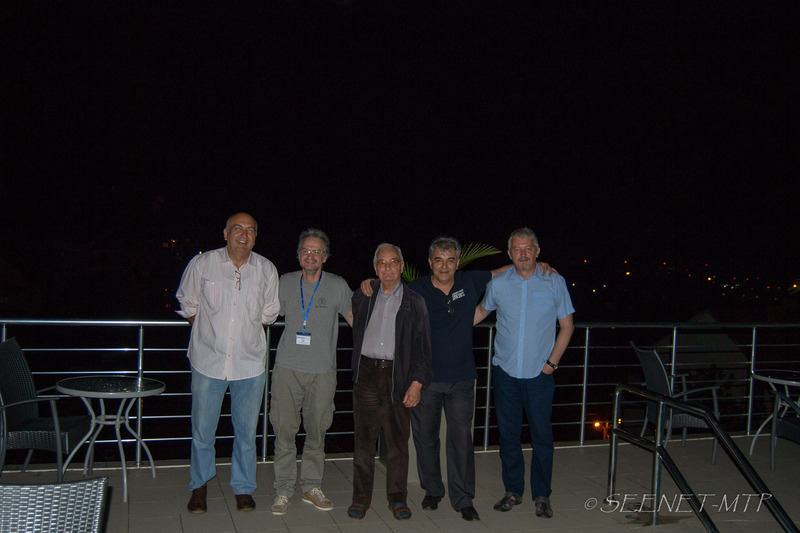 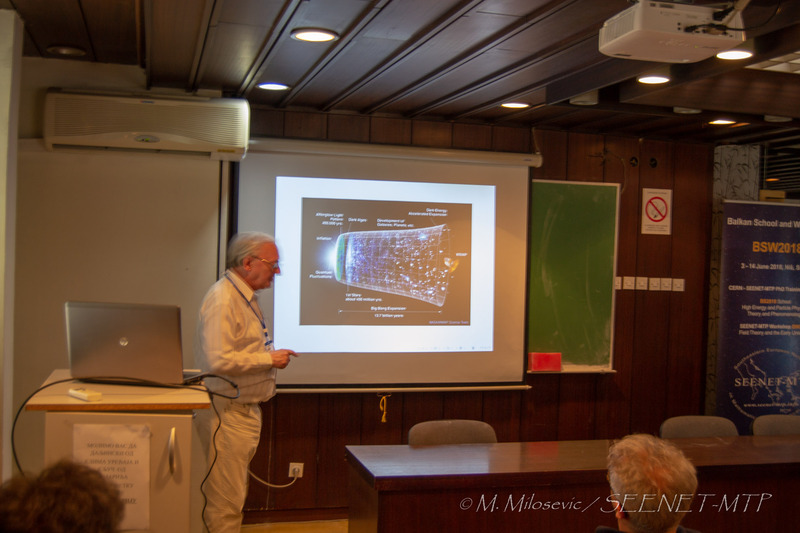 This visit is organized in the framework of the SEENET-MTP – ICTP Program NT-03 “Cosmology – Classical and Quantum Challenges”. 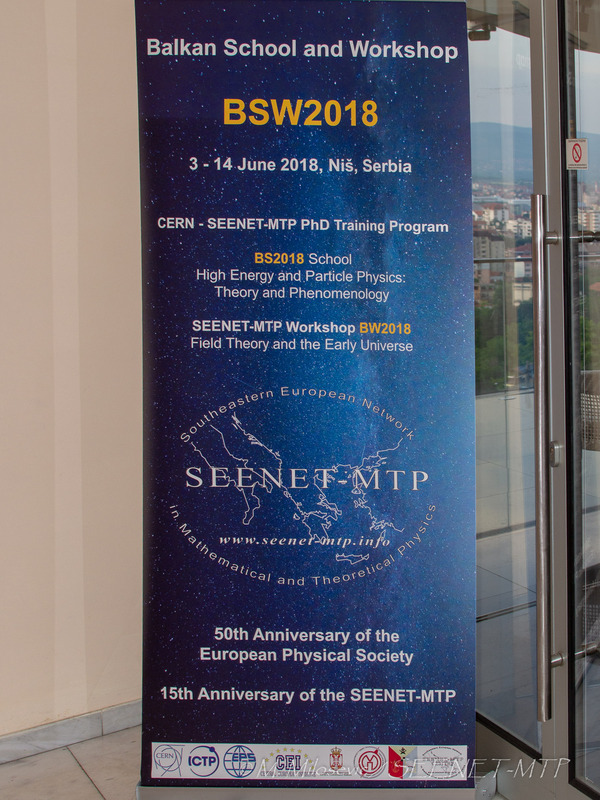 In the latest issue of e-EPS news (June 2018) an article about the 15 Years of the SEENET-MTP, cooperation between the EPS and SEENET-MTP and announcement for the Balkan School and Workshop BSW2018 was published. 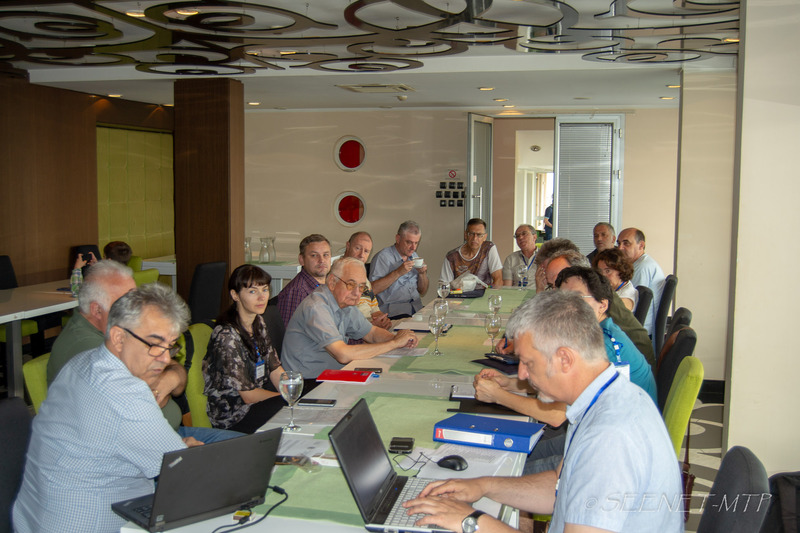 The cooperation between the EPS and SEENET-MTP dates back to a decade ago and had a further reinforcement at the Kick-off Meeting of the EPS Committee of European Integration (EPS-CEI) during the Balkan Workshop BW2013 (Vrnjačka Banja, Serbia). 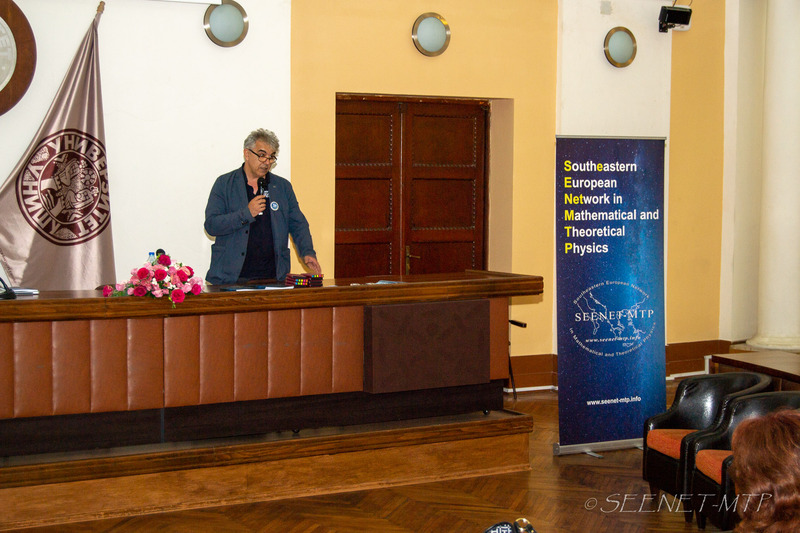 The EPS-CEI and SEENET-MTP have ever since collaborated in domains of mutual interest and activities, such as supporting exchanges of physicists across South-Eastern and Central-Eastern Europe and training of the new generation of physicists, supported at a pan-European level. 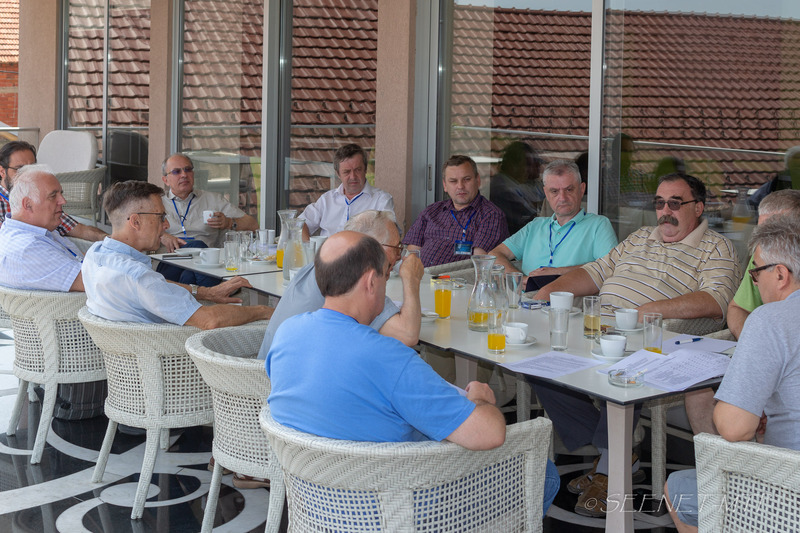 In 2017 the two parties initiated a process of signing the Memorandum of Agreement. 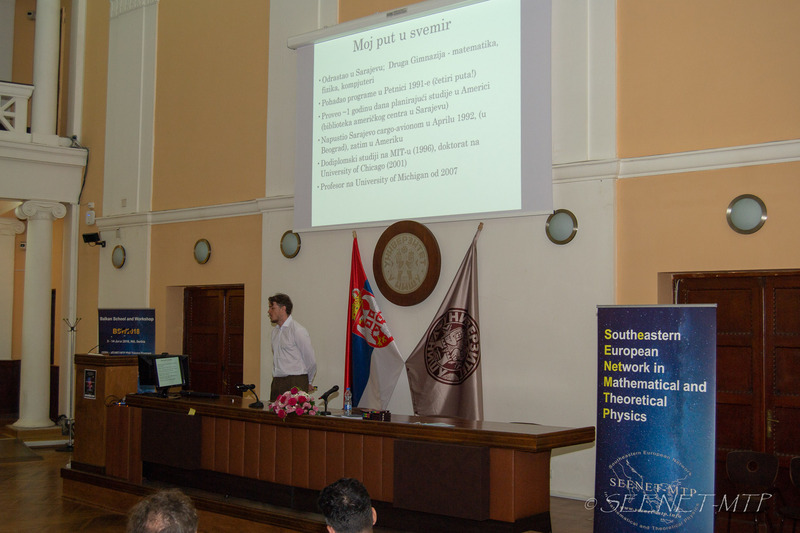 The lecture will be held at the Faculty of Sciences and Mathematics, University of Niš, Serbia, on June 9th, starting at 10:30. 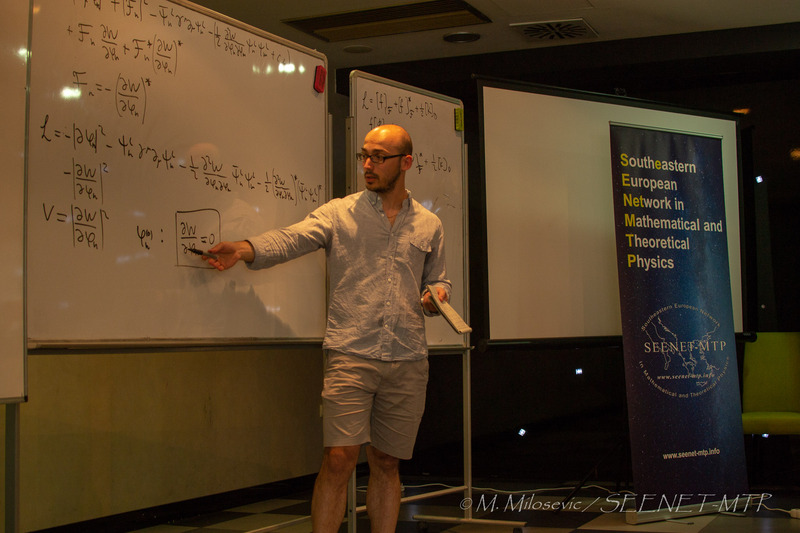 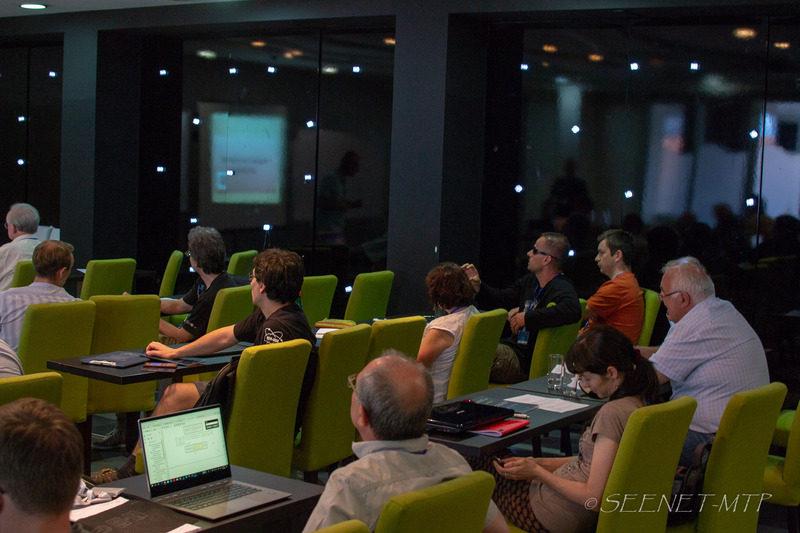 The lecture is a part of the program of the fifth school in the CERN – SEENET-MTP PhD Training Program, the BS2018 – High Energy and Particle Physics: Theory and Phenomenology. 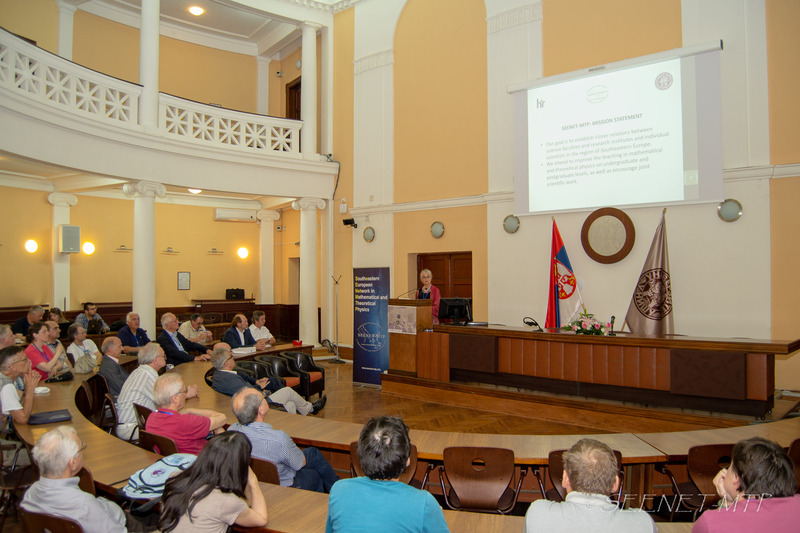 One of the SEENET-MTP institutional founders – Faculty of Physics, University of Timisoara traditionally organizes a series of annual physics conferences – TIM. 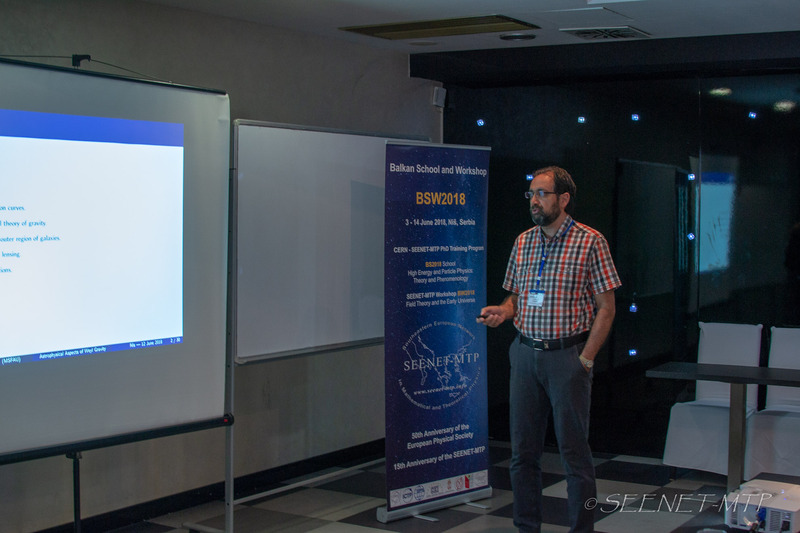 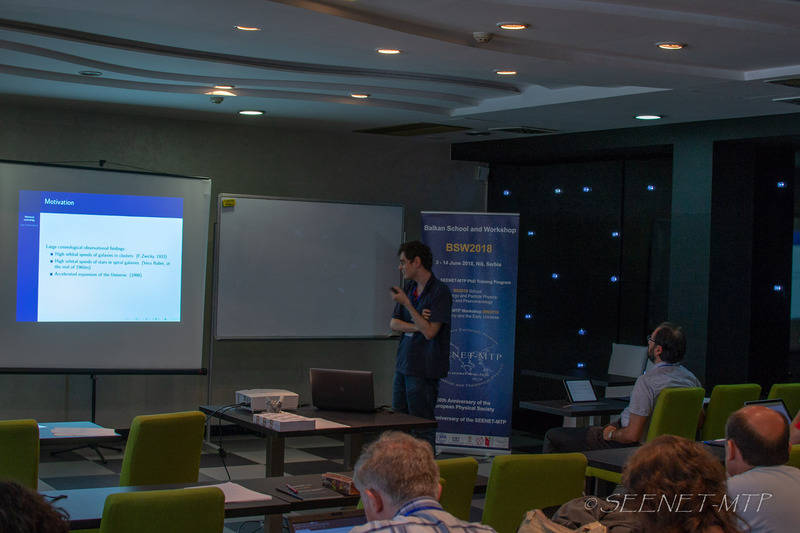 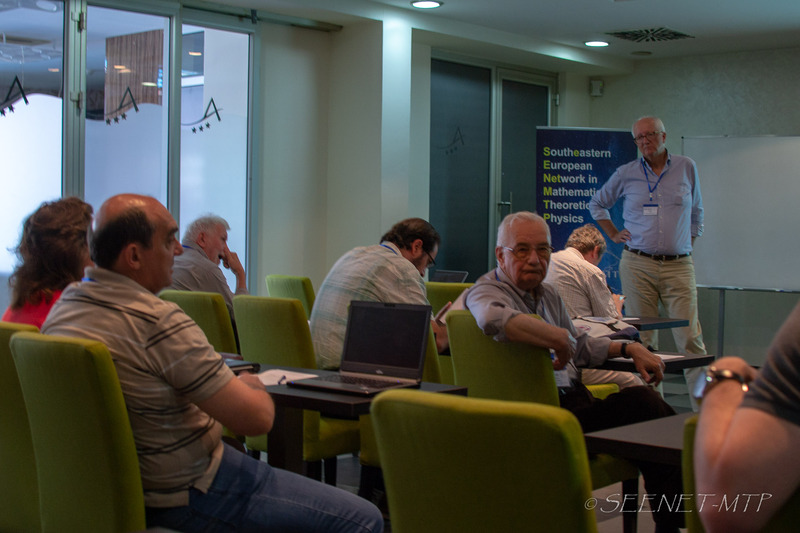 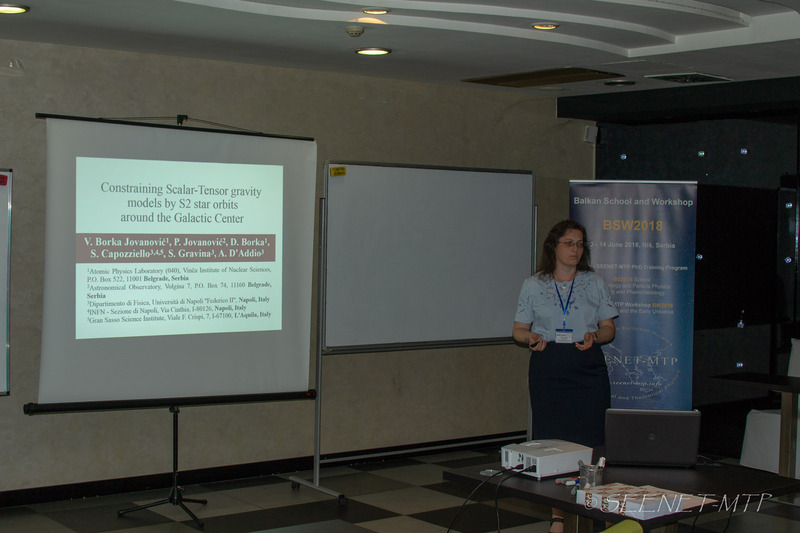 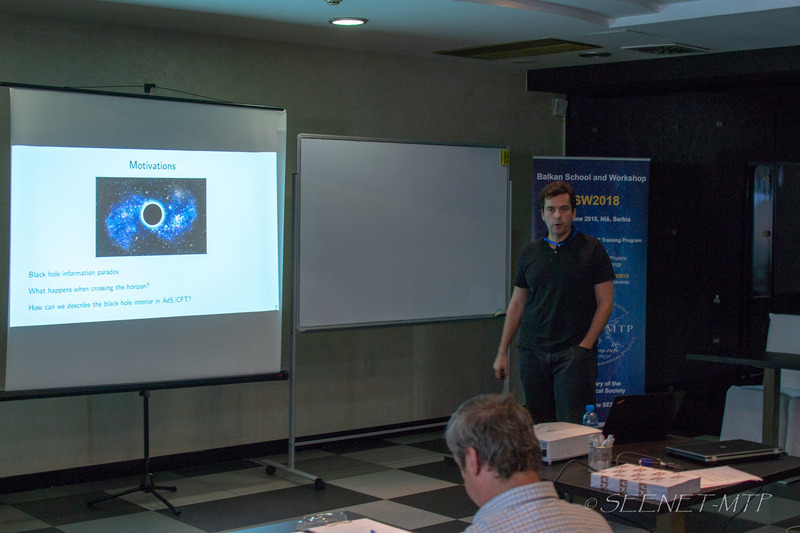 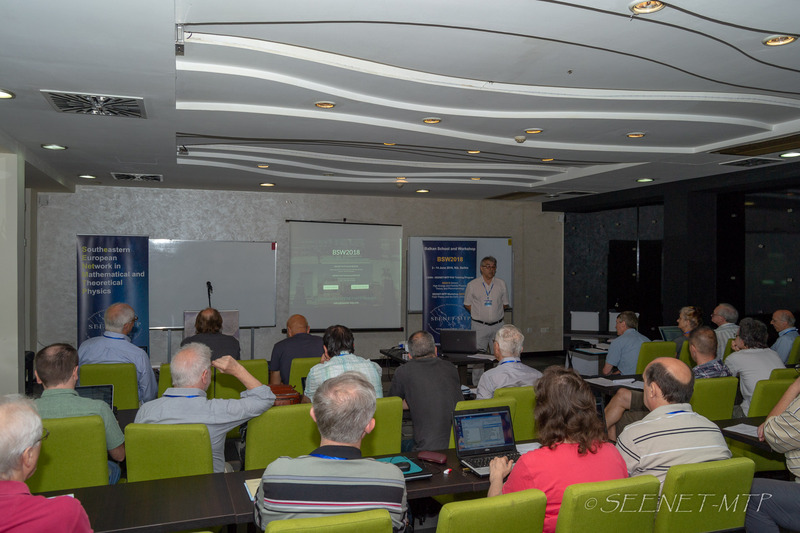 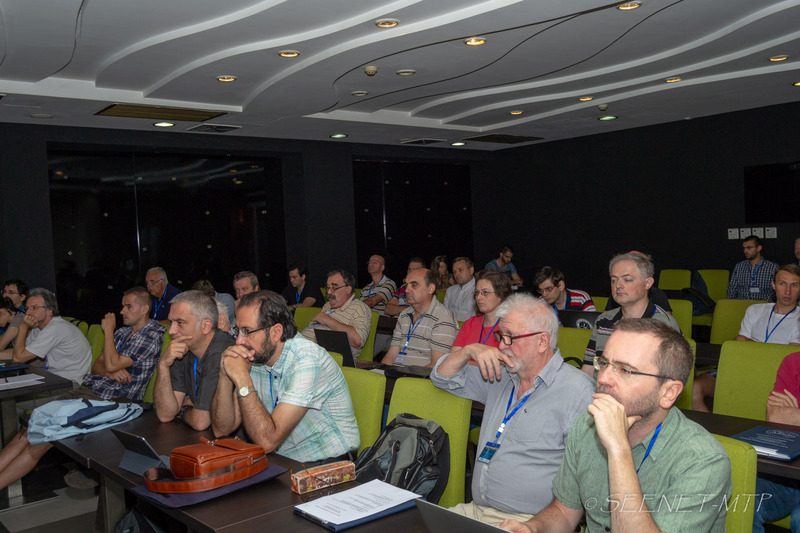 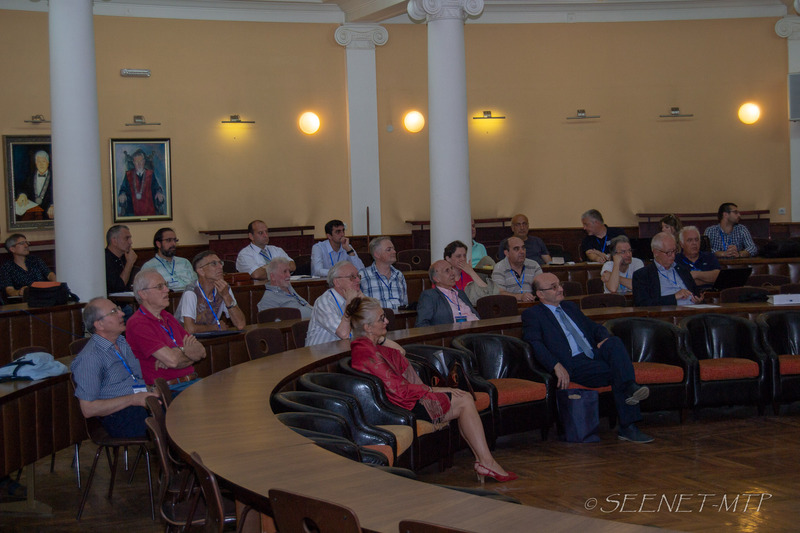 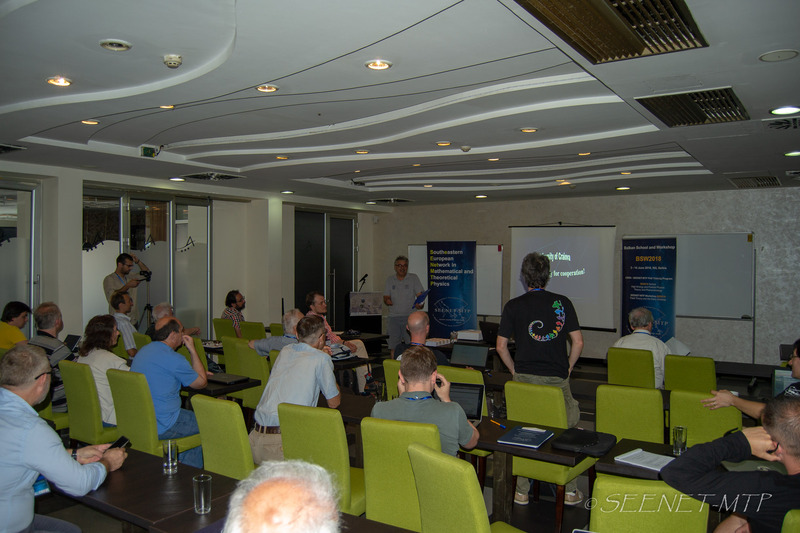 During the TIM18 Physics Conference, which was held in Timisoara (Romania) from 24th to 26th of May, the 15th anniversary of cooperation within the SEENET-MTP Network was presented. 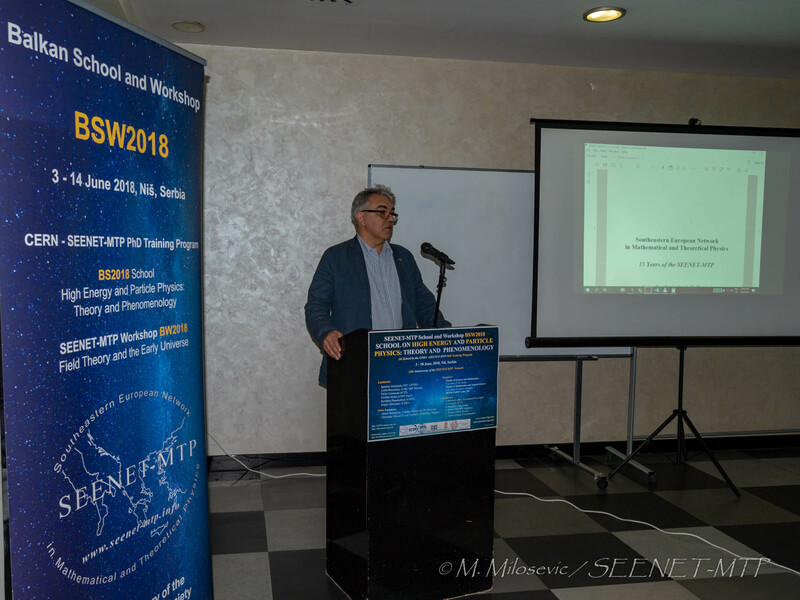 The presentation was given on Friday, 25th of May 2018 by Dr. Dragoljub Dimitrijevic (Faculty of Sciences and Mathematics, University of Niš, Serbia), SEENET-MTP scientific secretary. 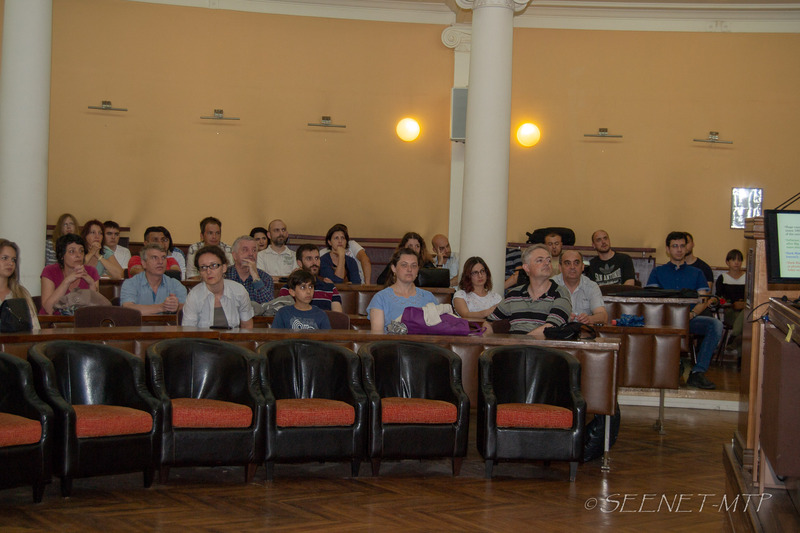 The seminar will take place at National Institute of Physics and Nuclear Engineering – Horia Hulubei (Sala de seminar DFT) on Monday, 23 April 2018. 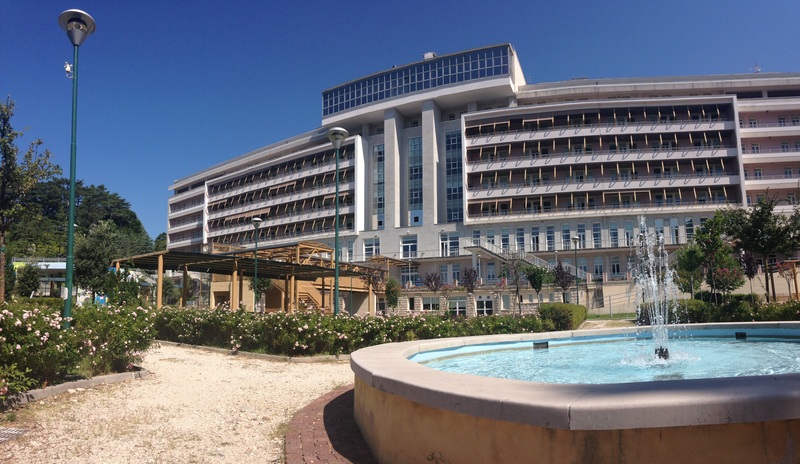 Tahyon fields. 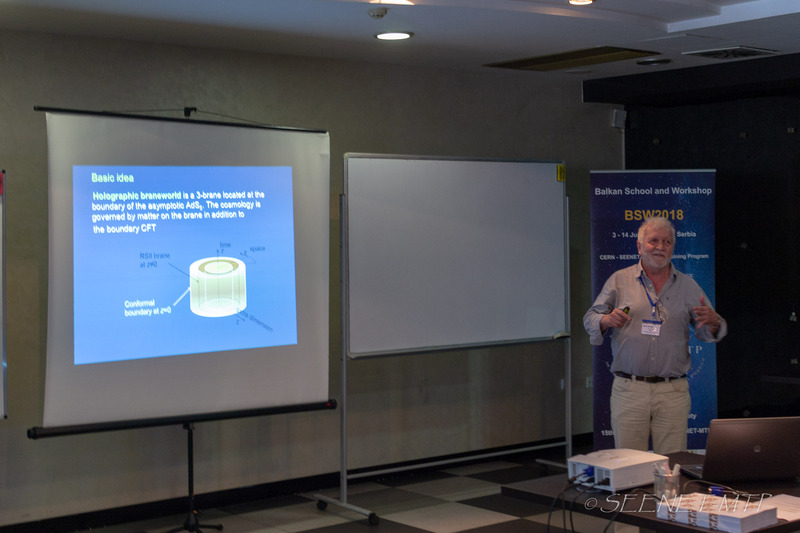 inflation and DBI lagrangians – Is that so complicated!? 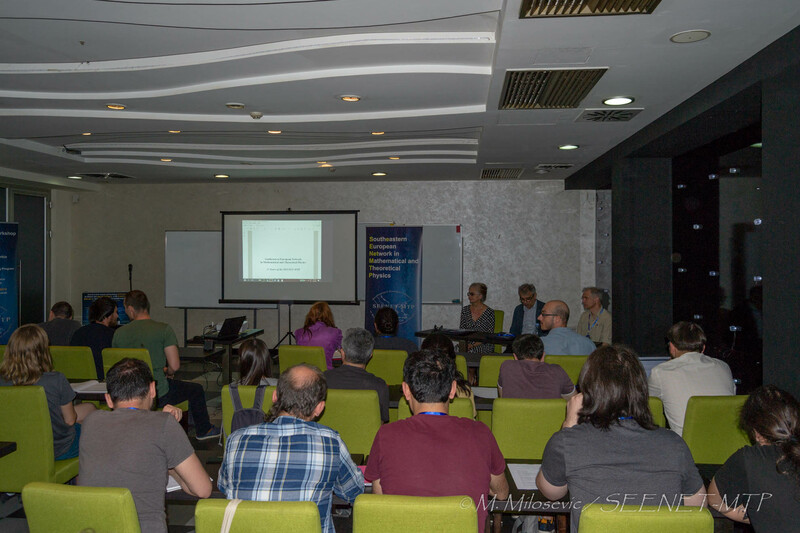 The second Meeting of the Scientific-Advisory Committee (SAC) will be held during The Joint Meeting on Quantum Fields and Nonlinear Phenomena (18-22 April 2018, Sinaia, Romania). 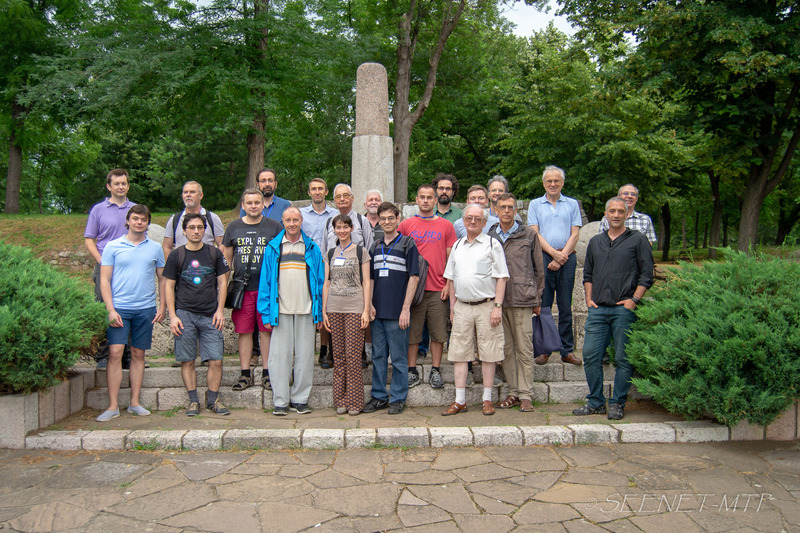 Renewal of present funding after 2019.